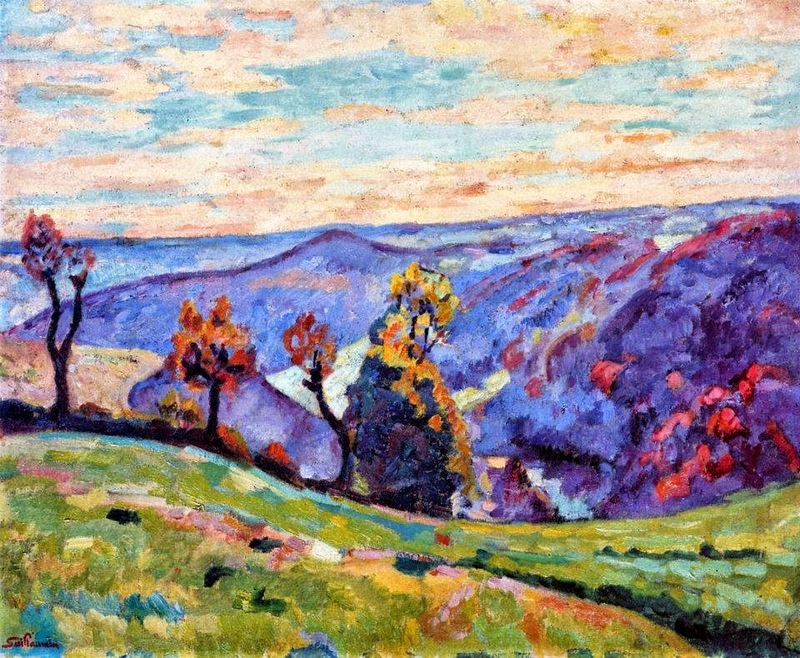 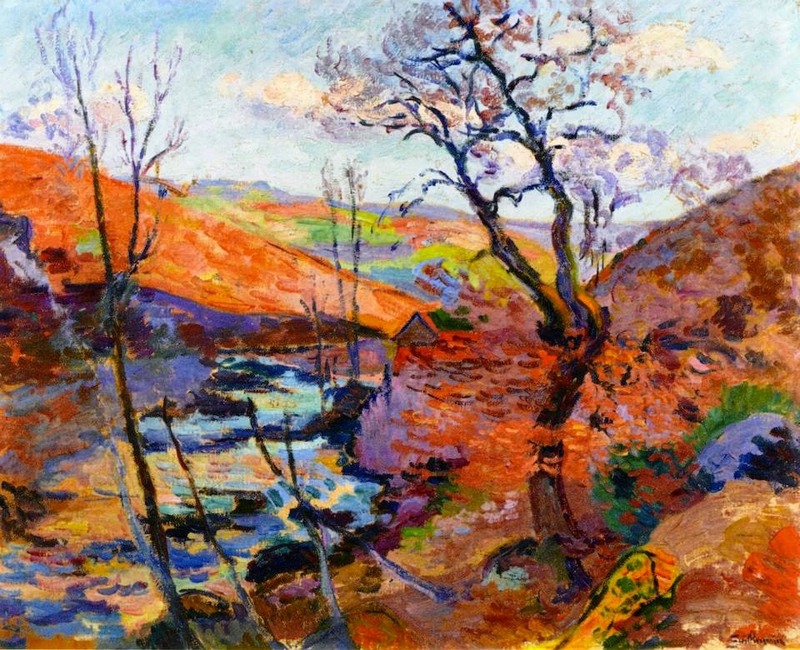 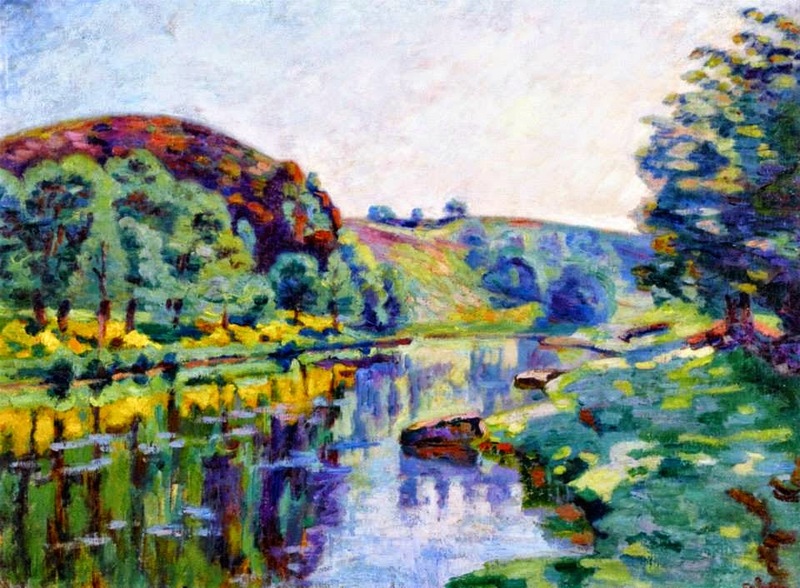 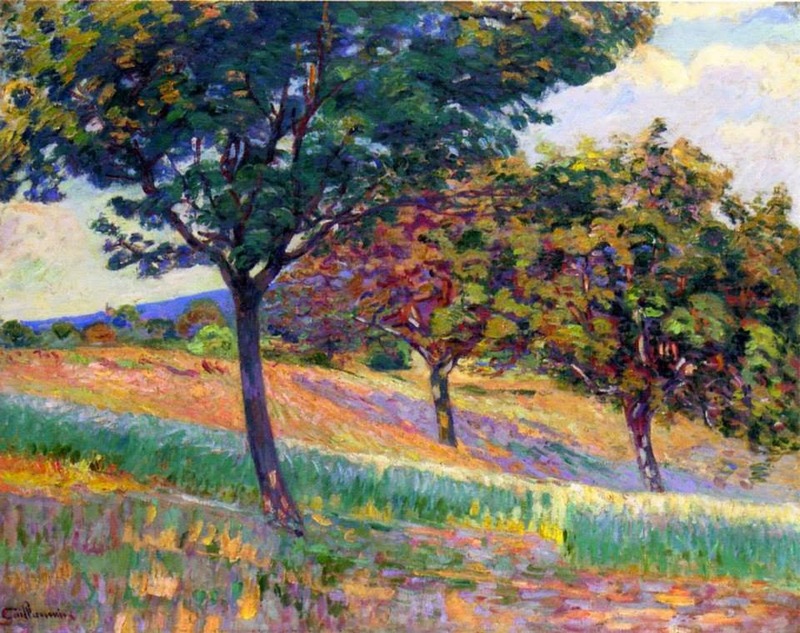 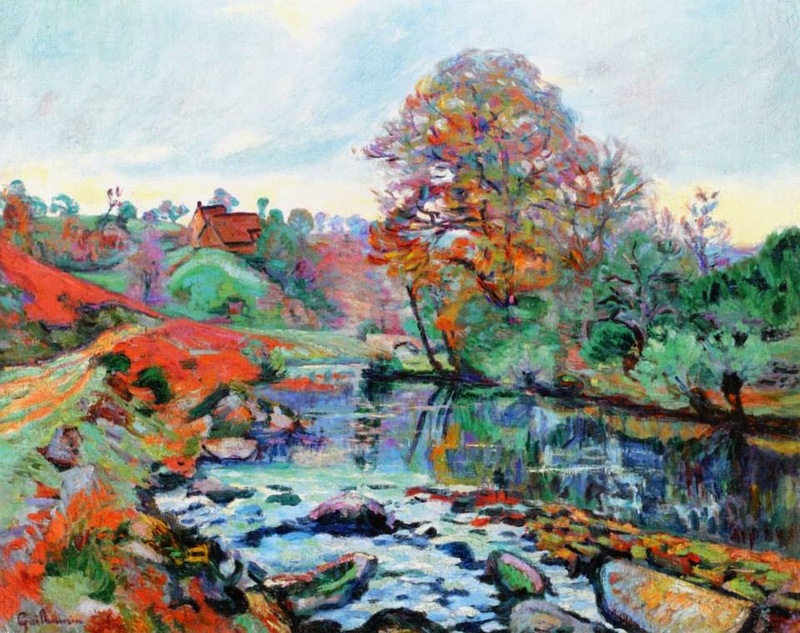 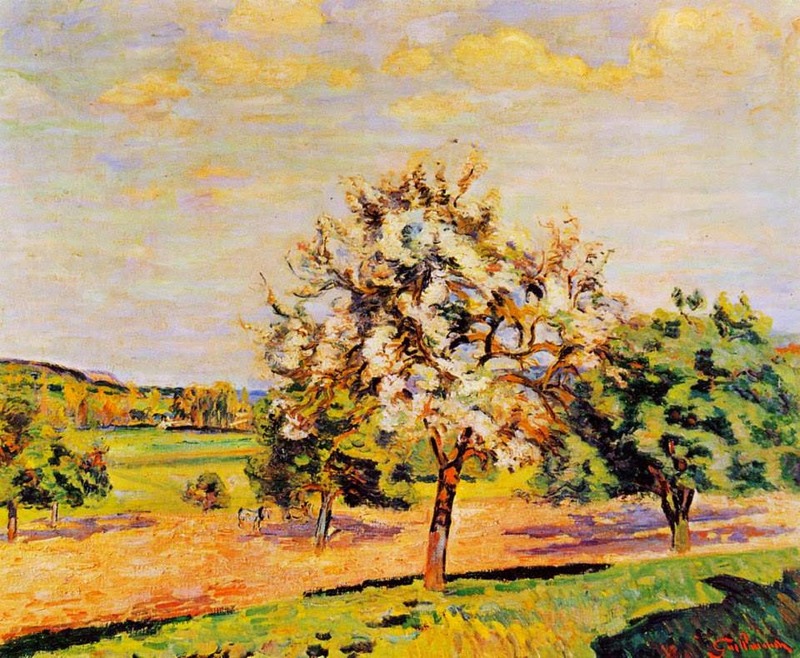 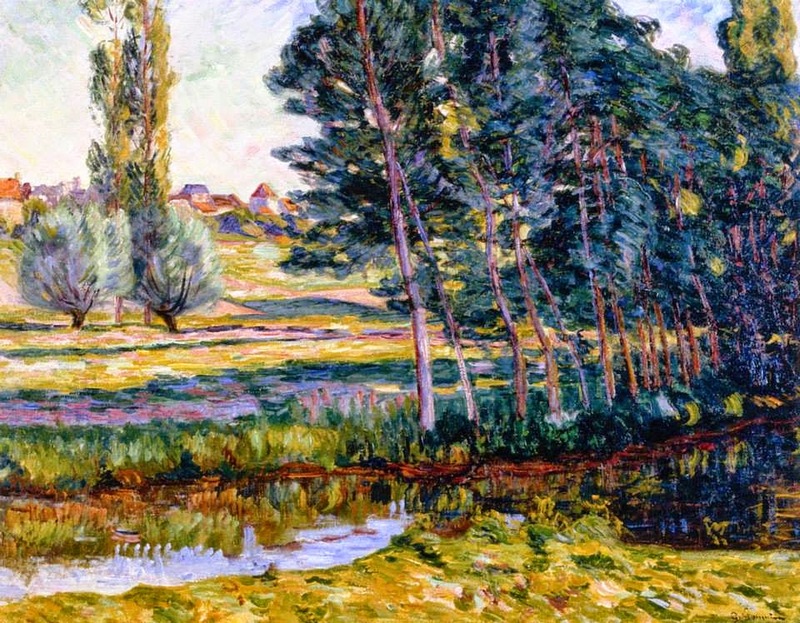 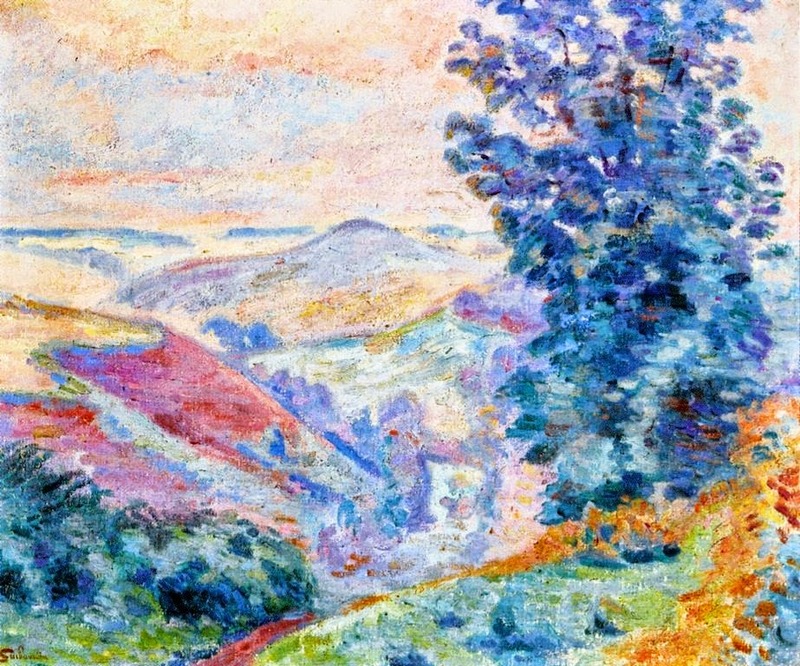 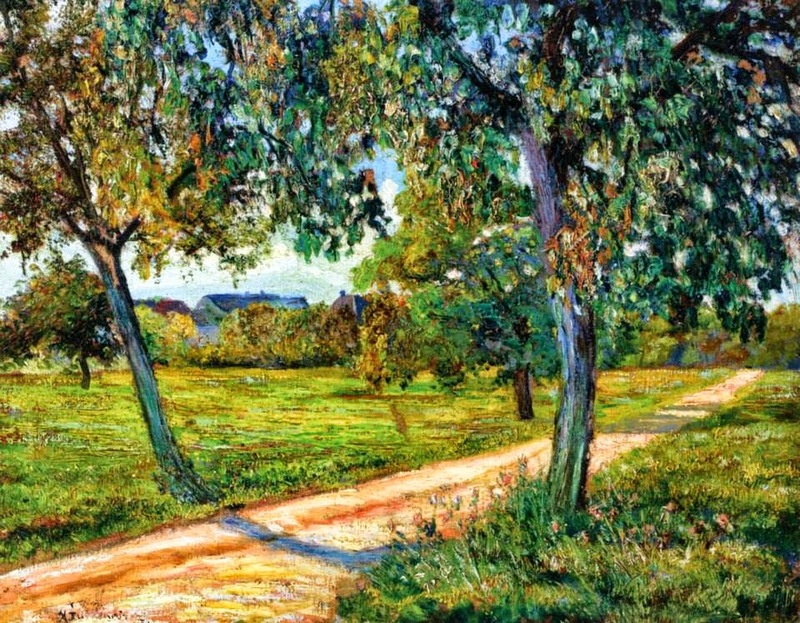 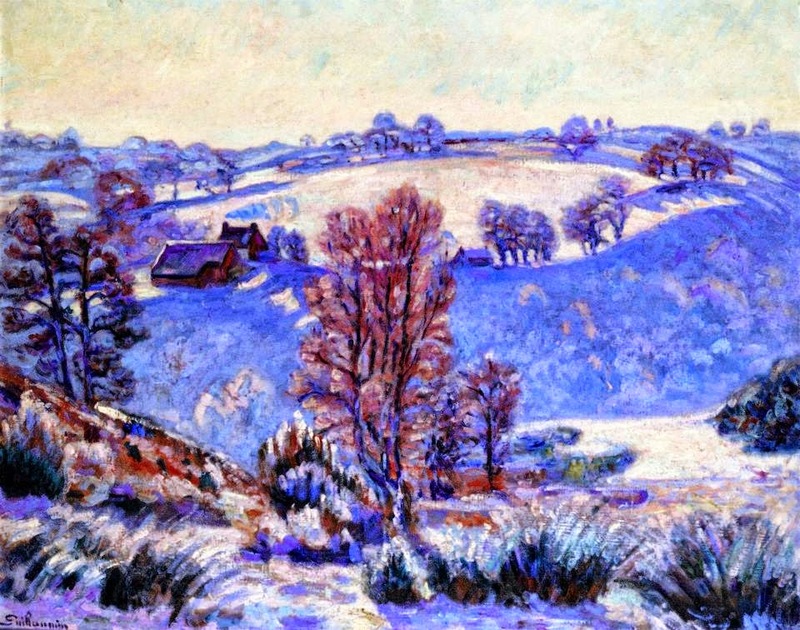 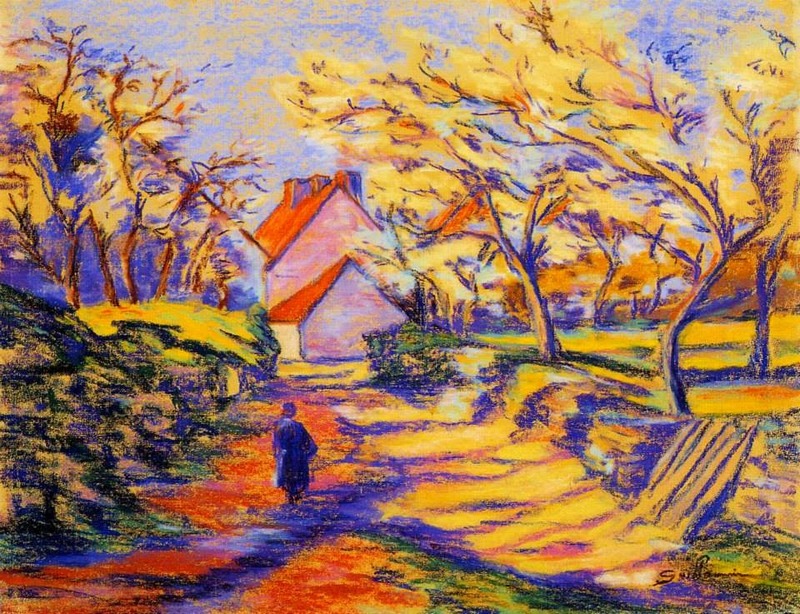 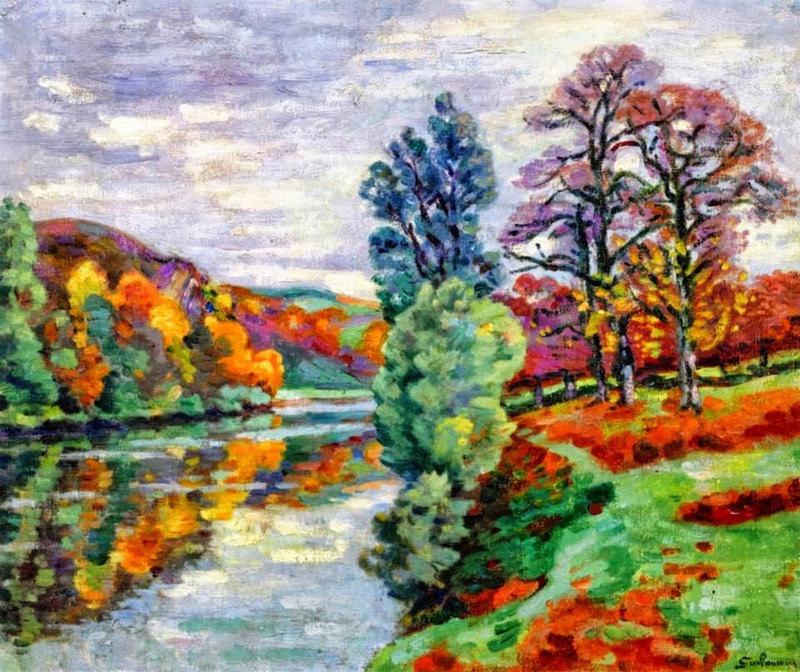 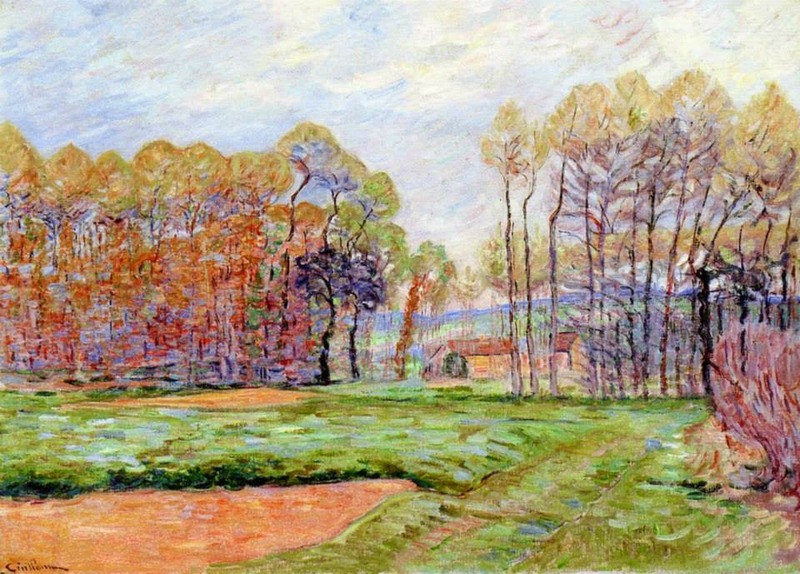 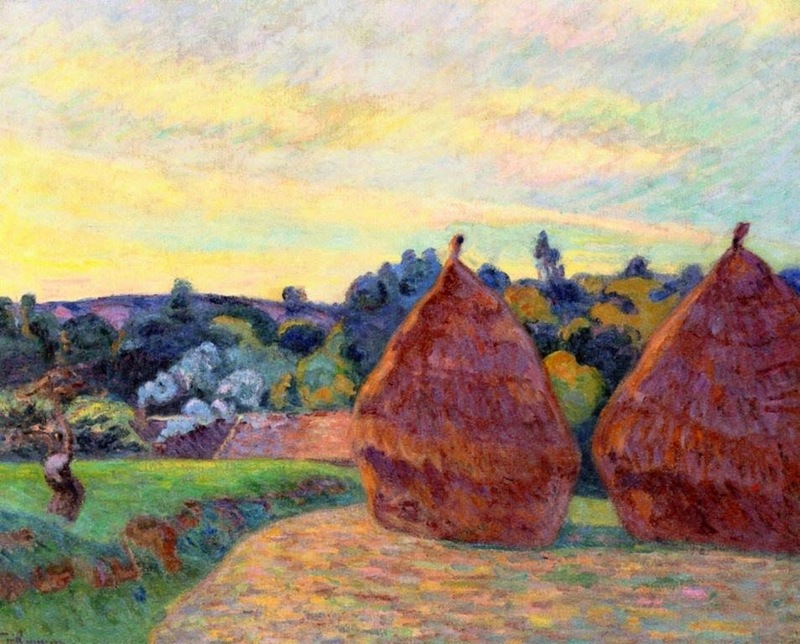 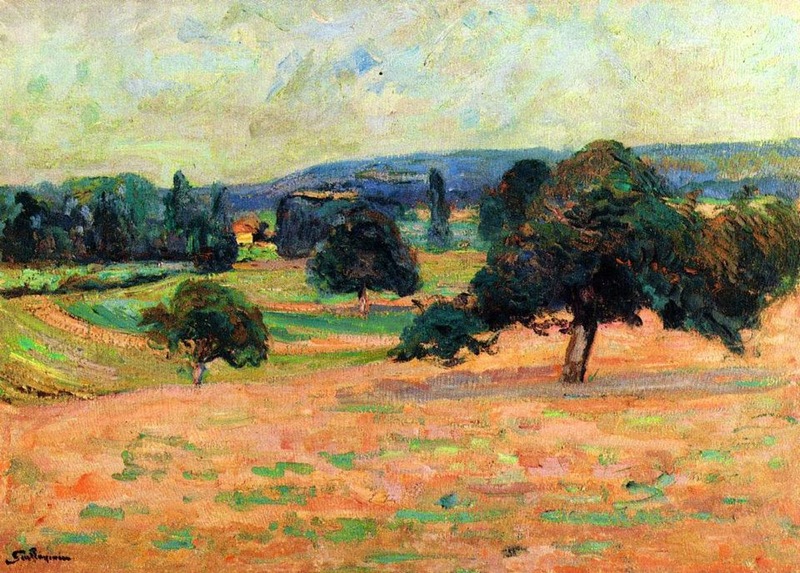 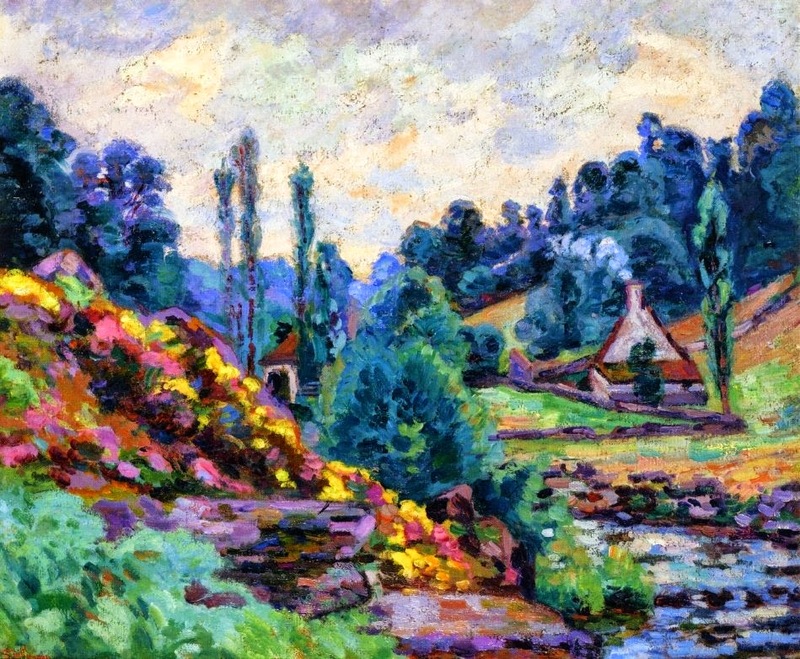 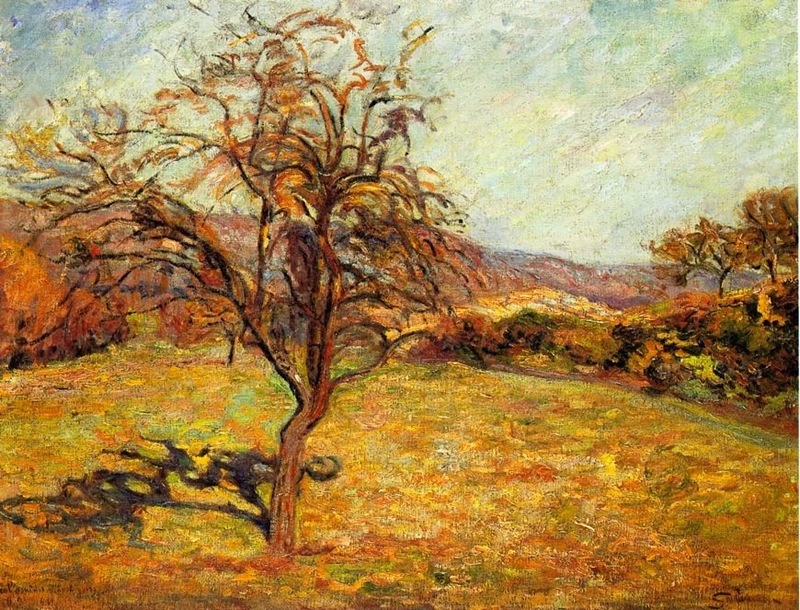 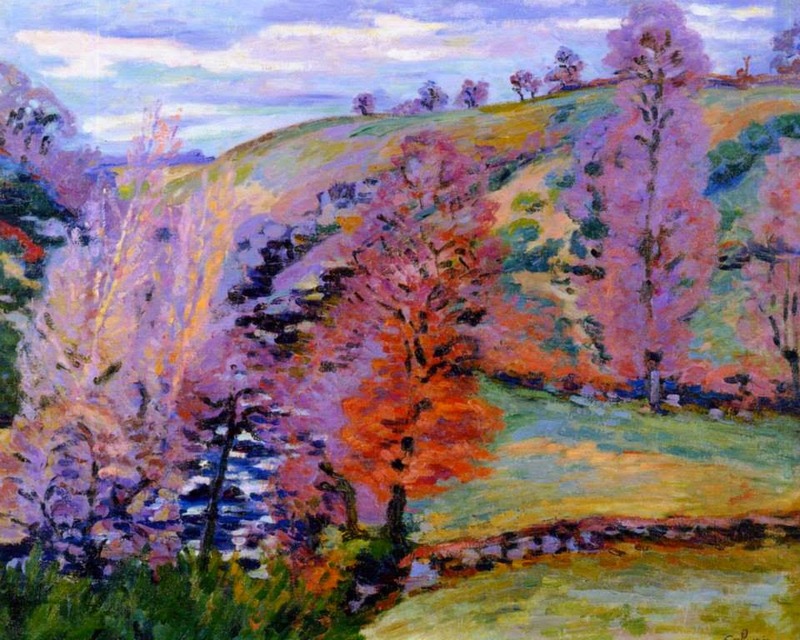 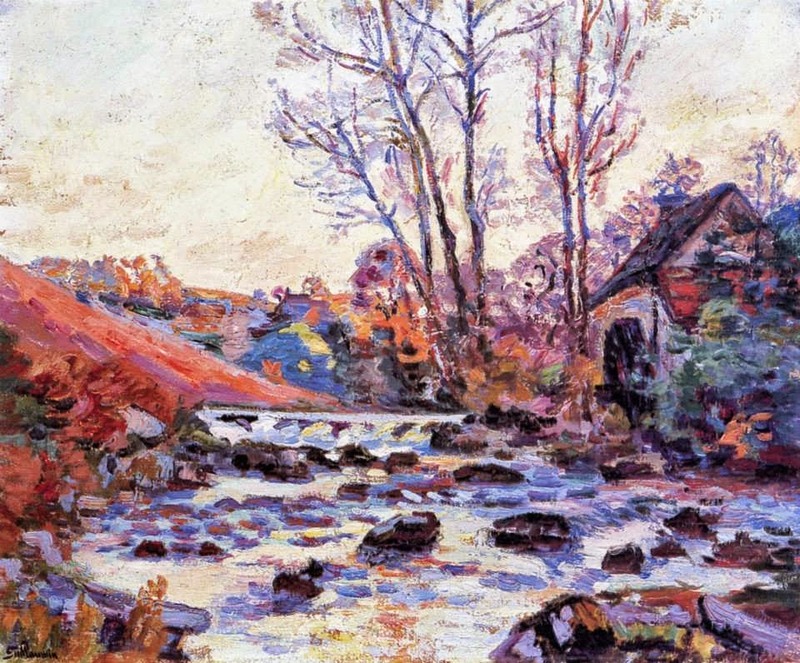 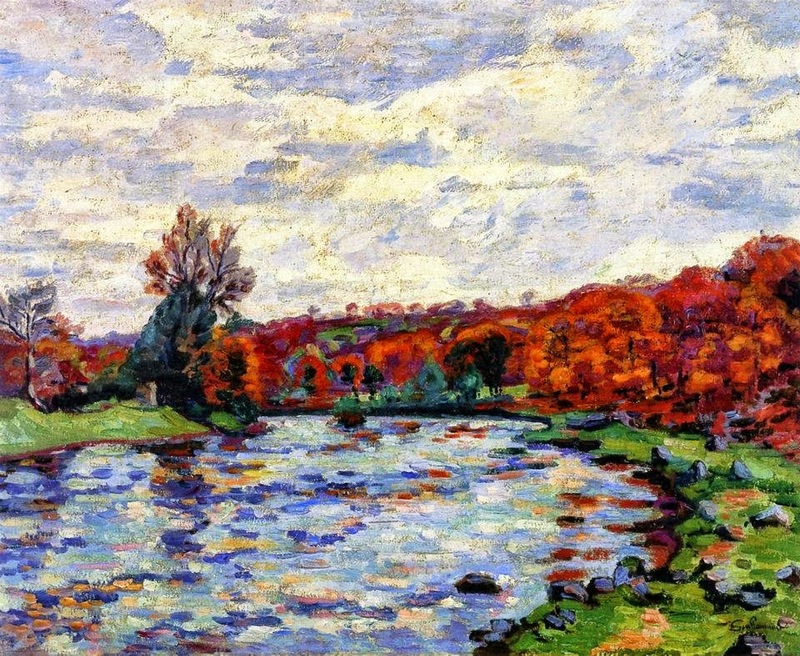 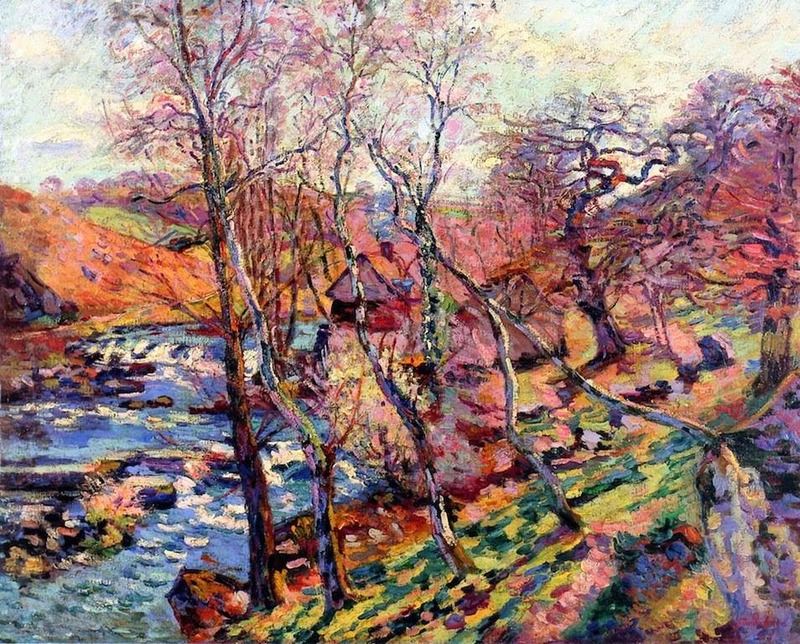 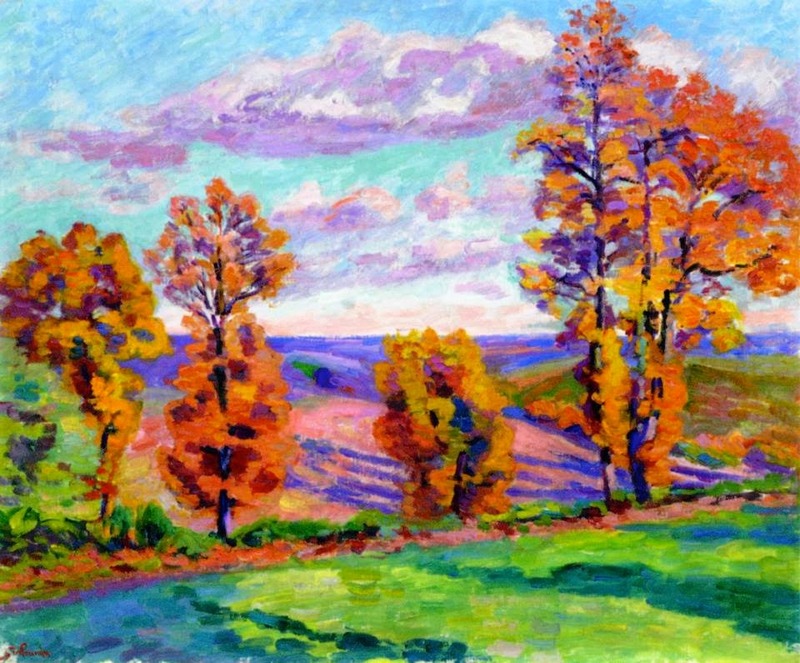 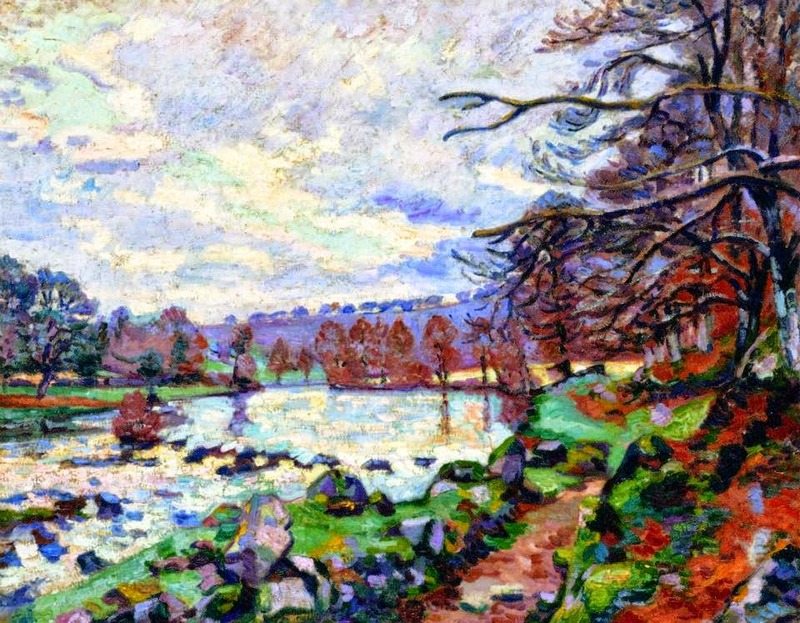 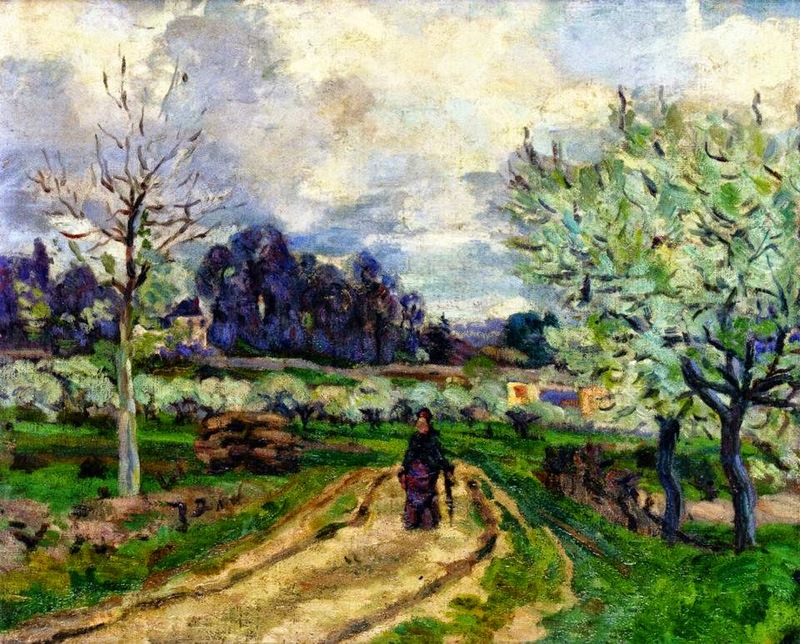 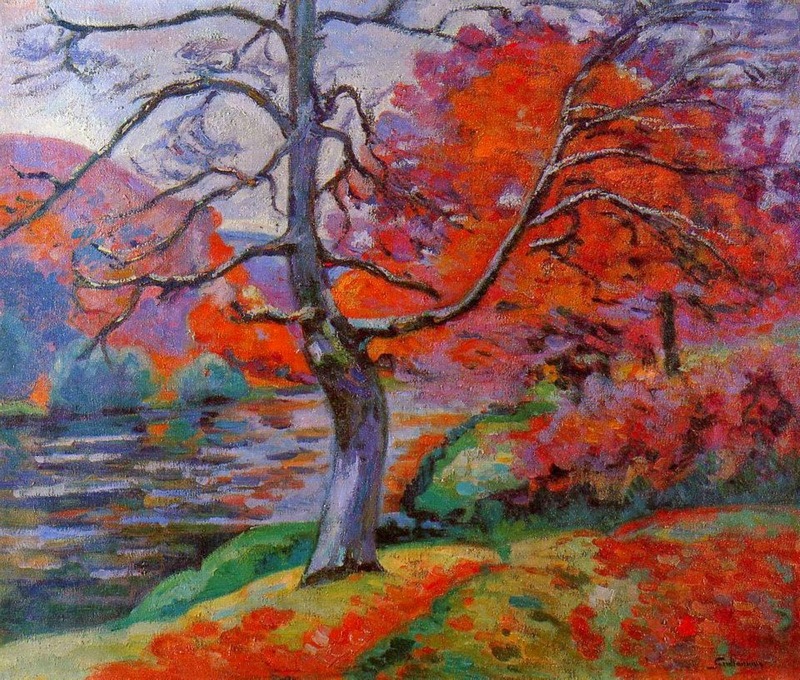 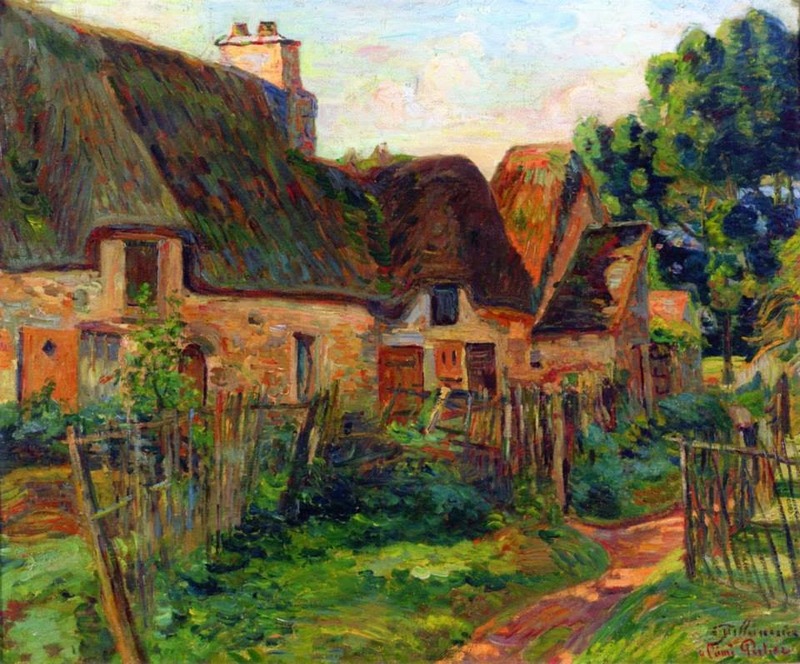 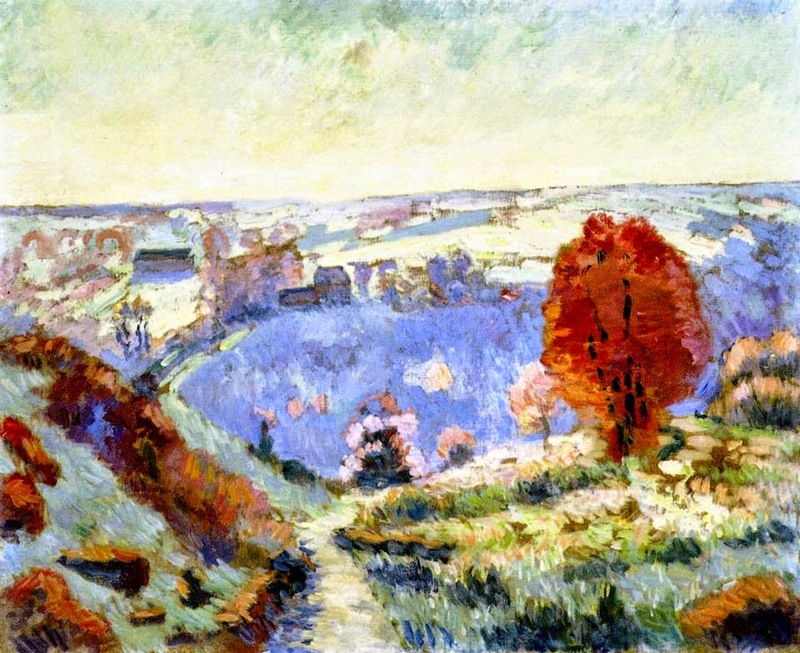 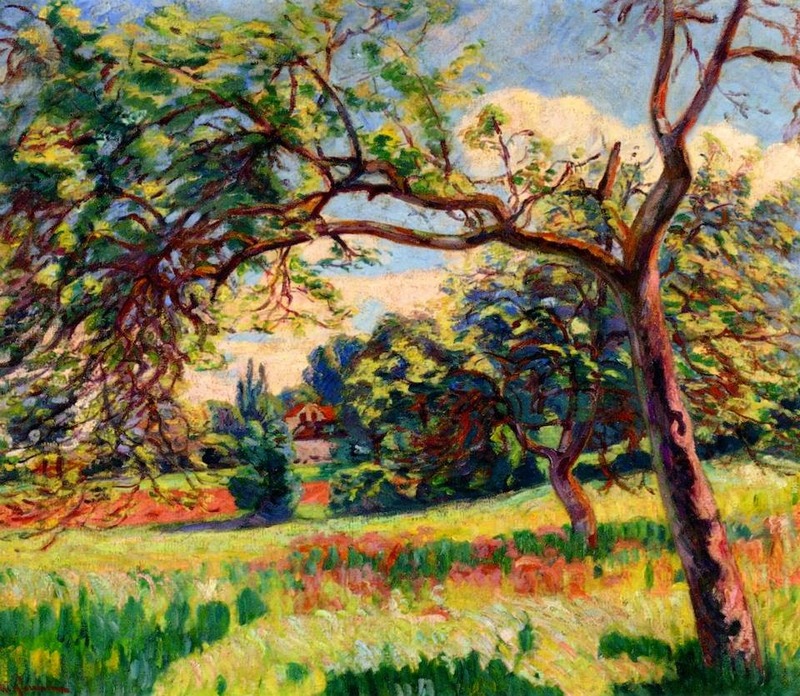 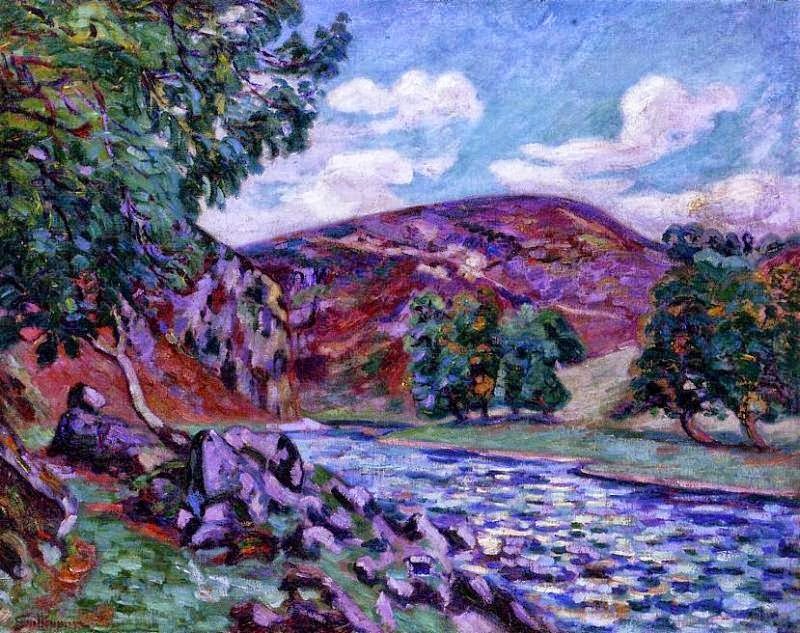 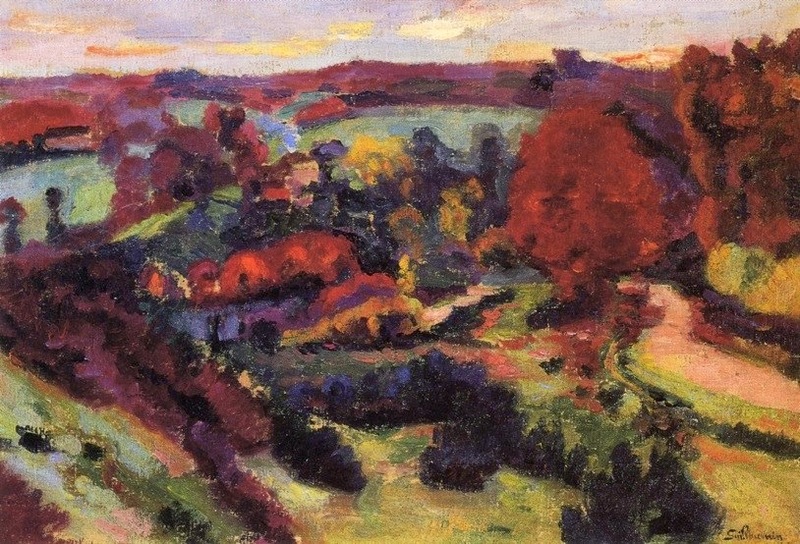 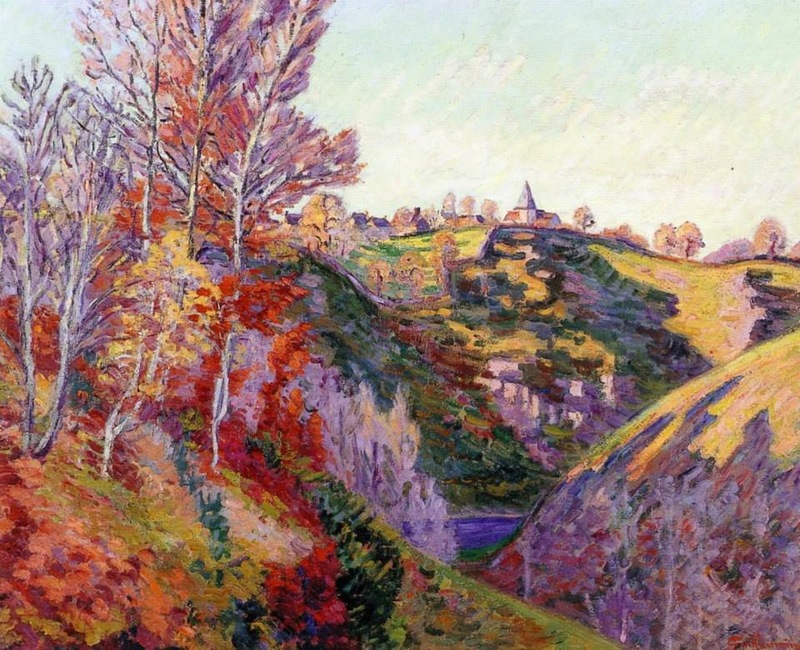 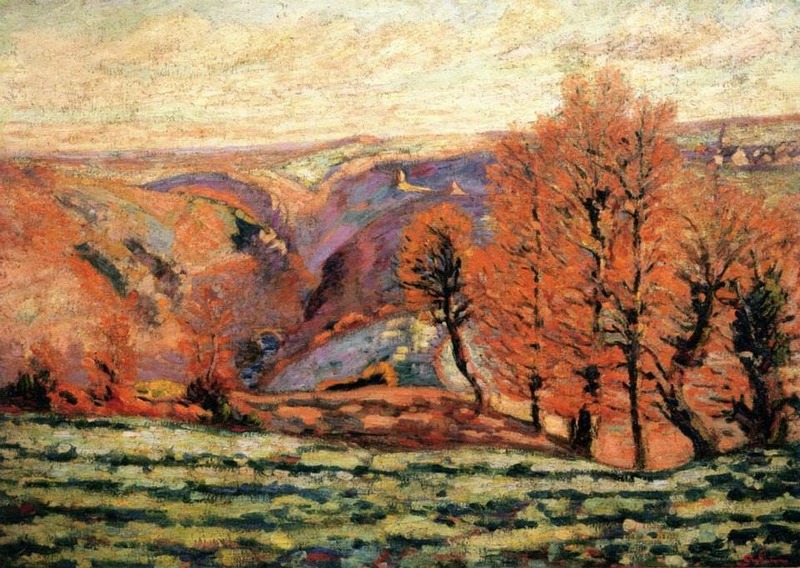 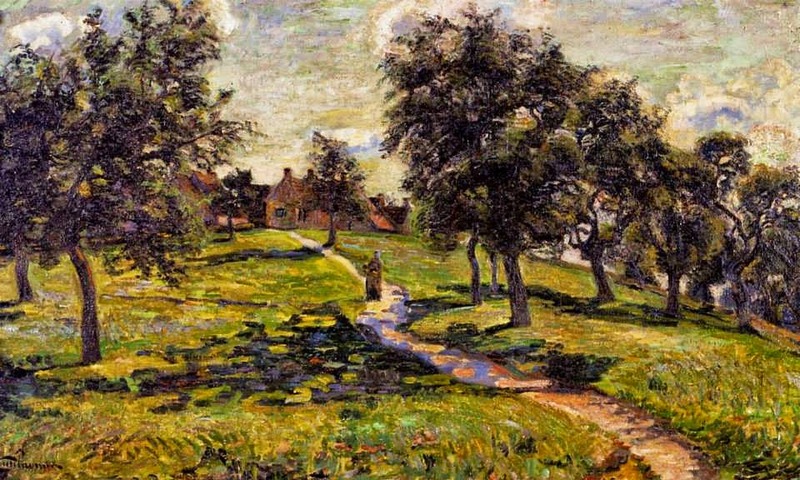 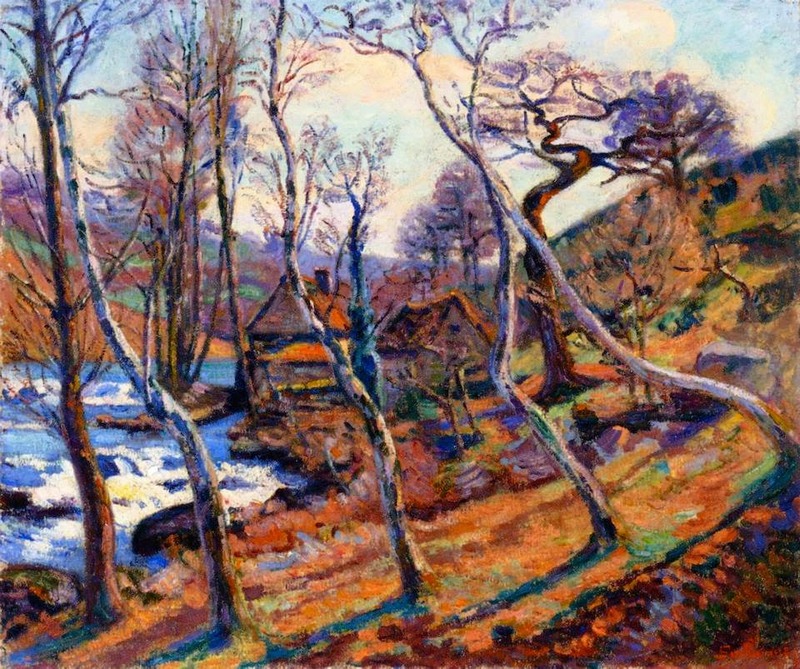 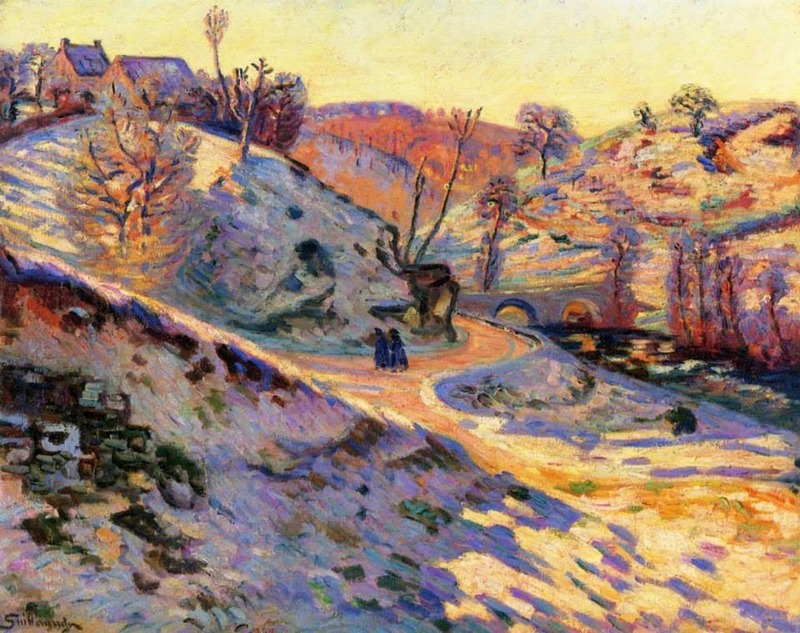 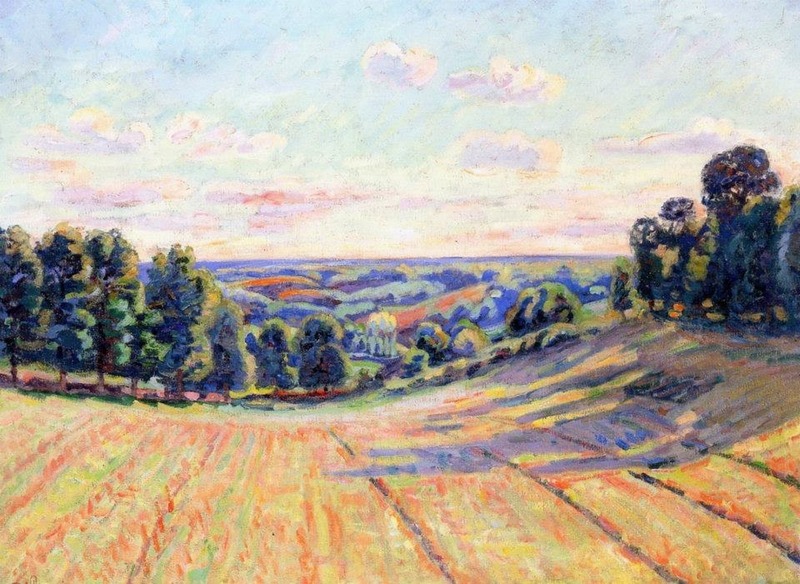 Armand Guillaumin, in full Jean-Baptiste-Armand Guillaumin (born February 16, 1841, Paris, France-died June 26, 1927, Paris), French🎨 landscape painter and lithographer who was a member of the Impressionist group🎨. 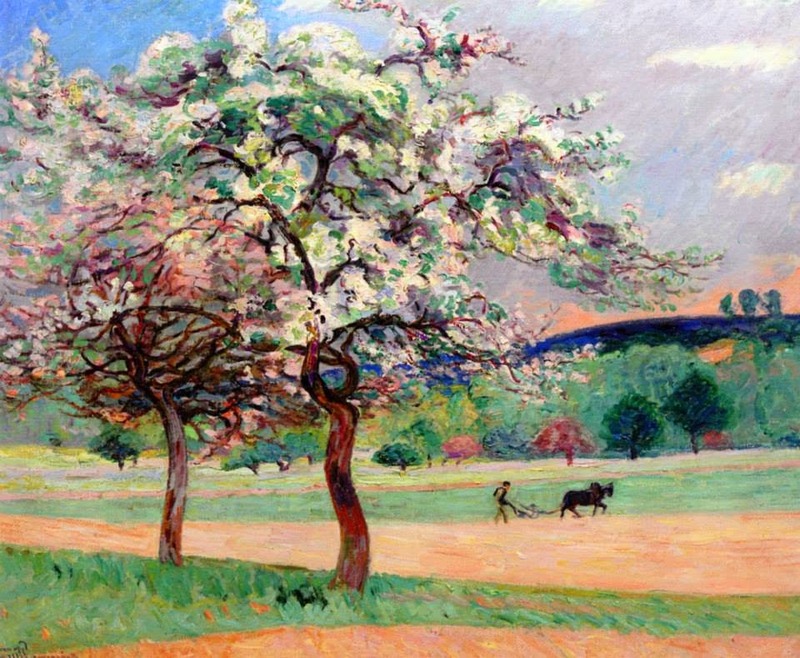 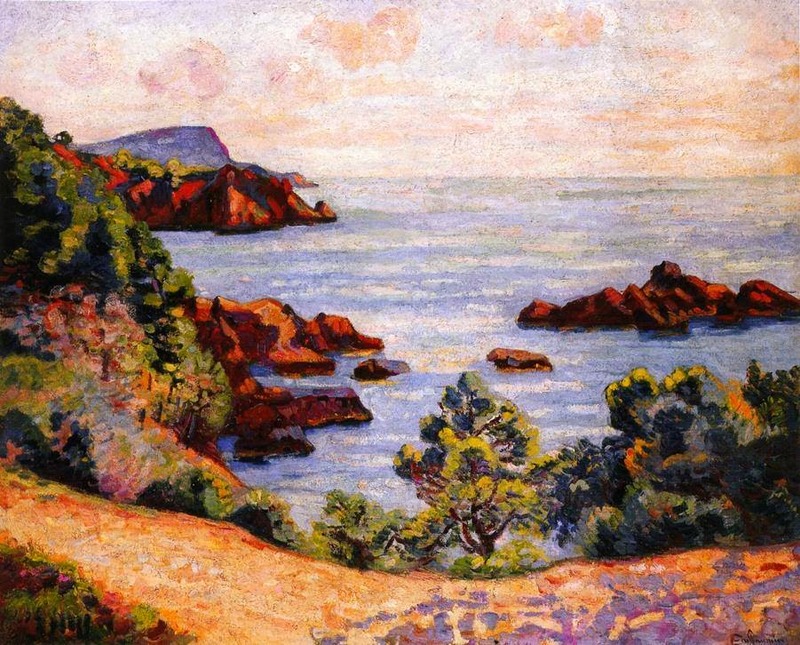 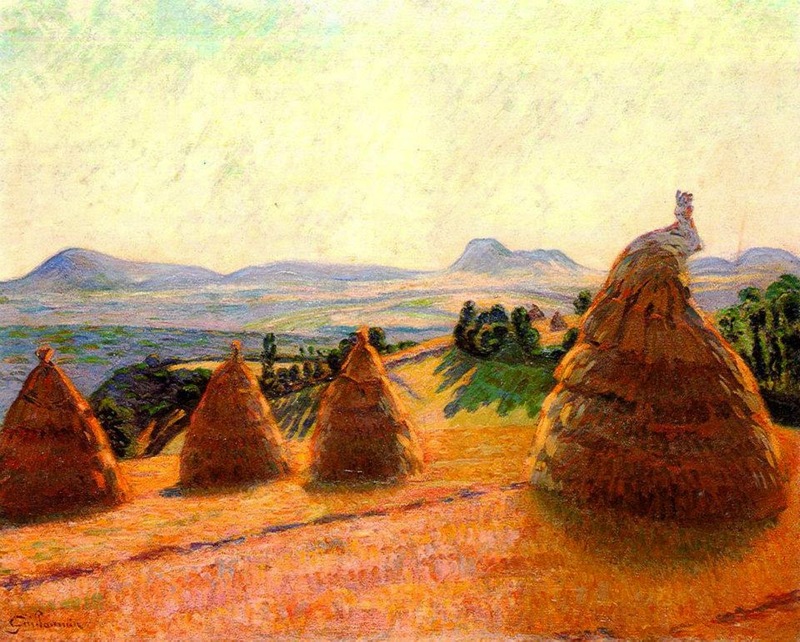 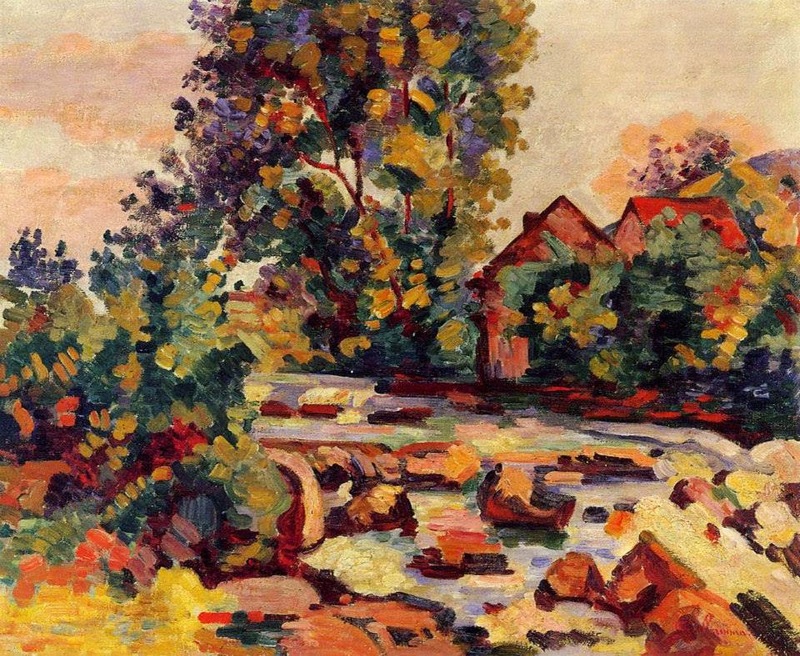 Guillaumin was a close friend of the painter Camille Pissarro🎨, whom he met while studying at the Académie Suisse. 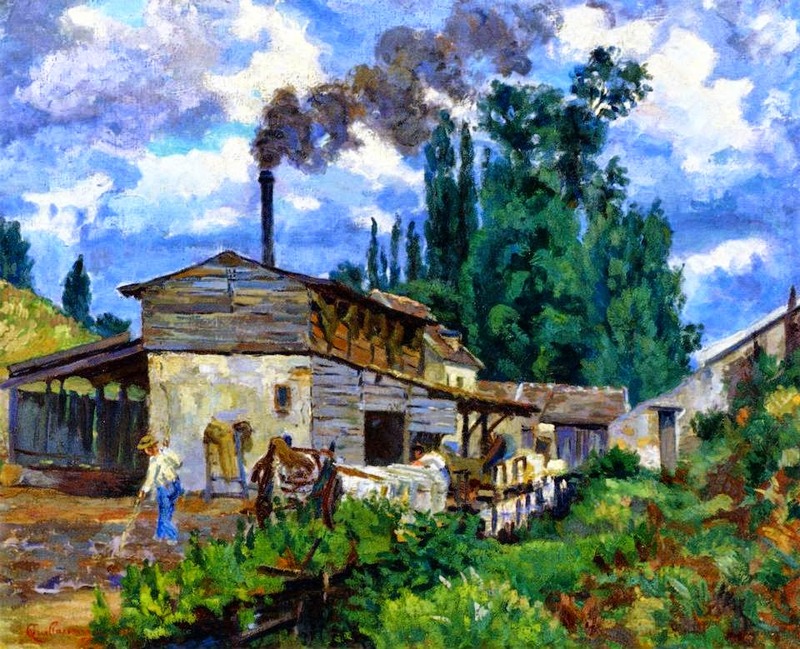 Together they found employment painting blinds, and Guillaumin portrayed his friend at work-Pissarro Painting Blinds (c. 1868). 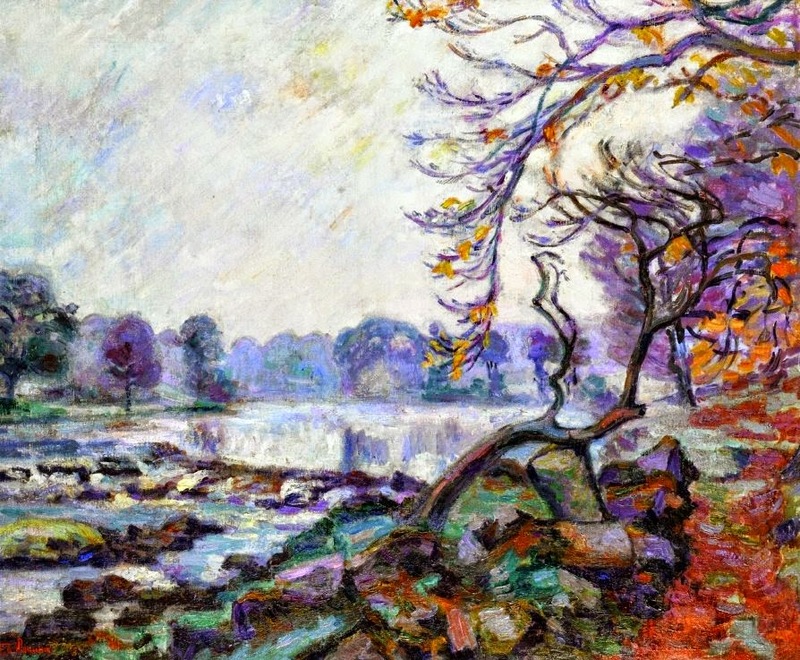 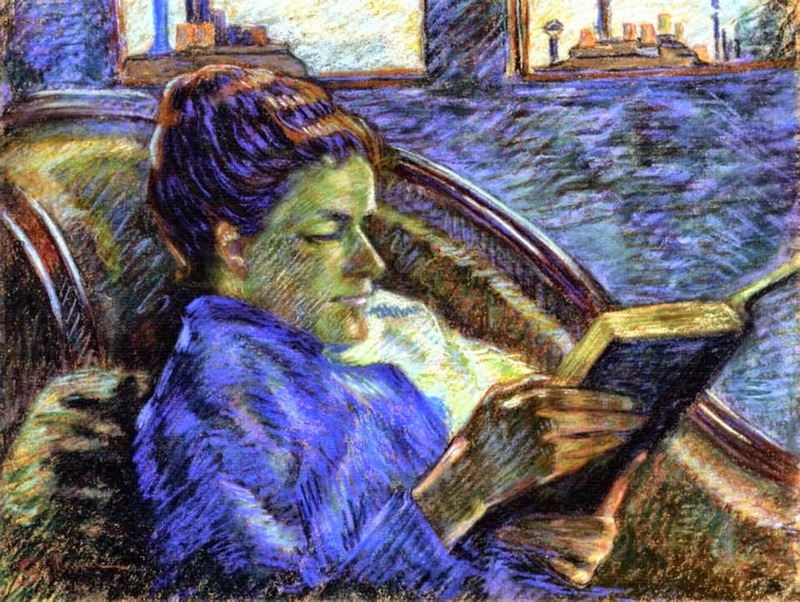 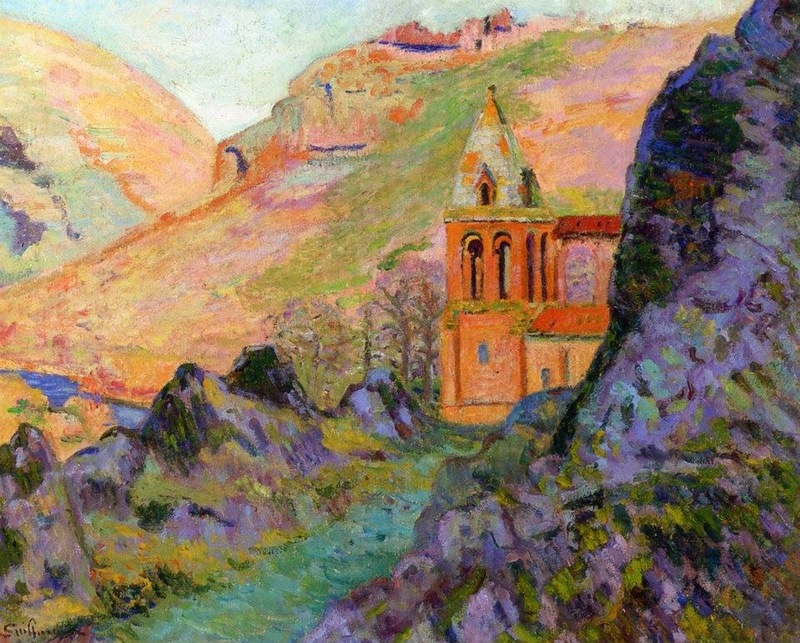 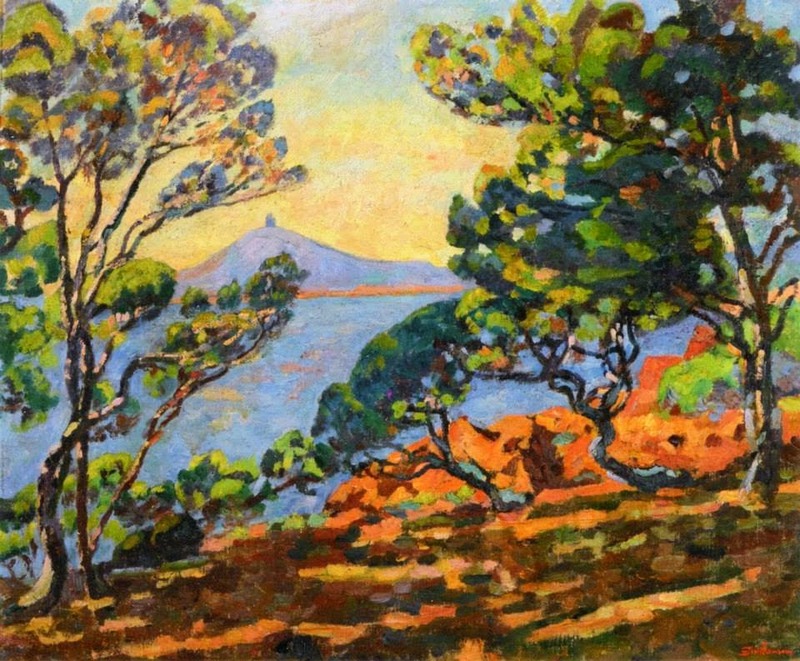 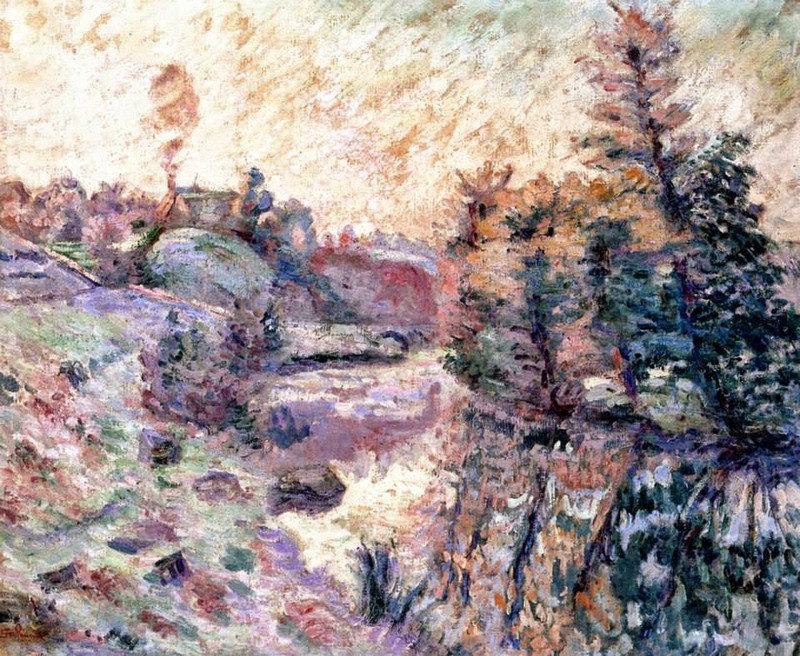 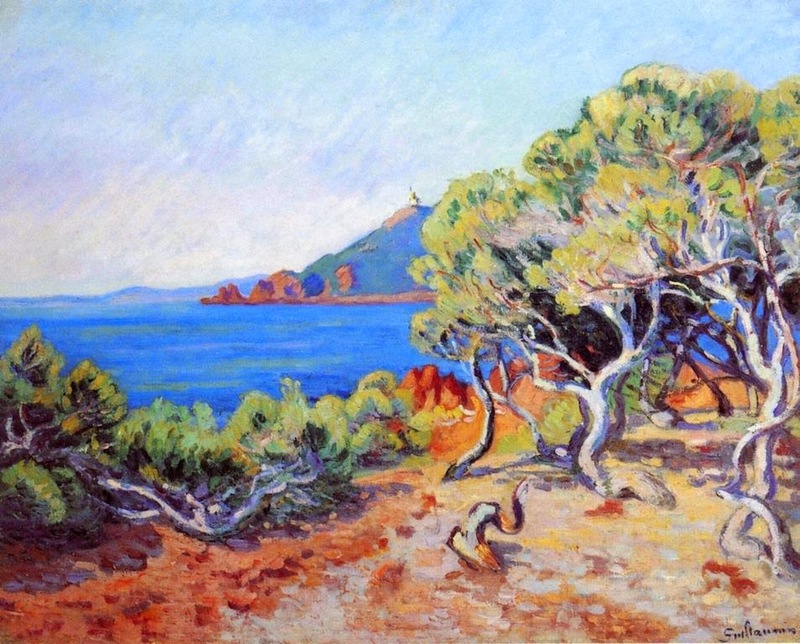 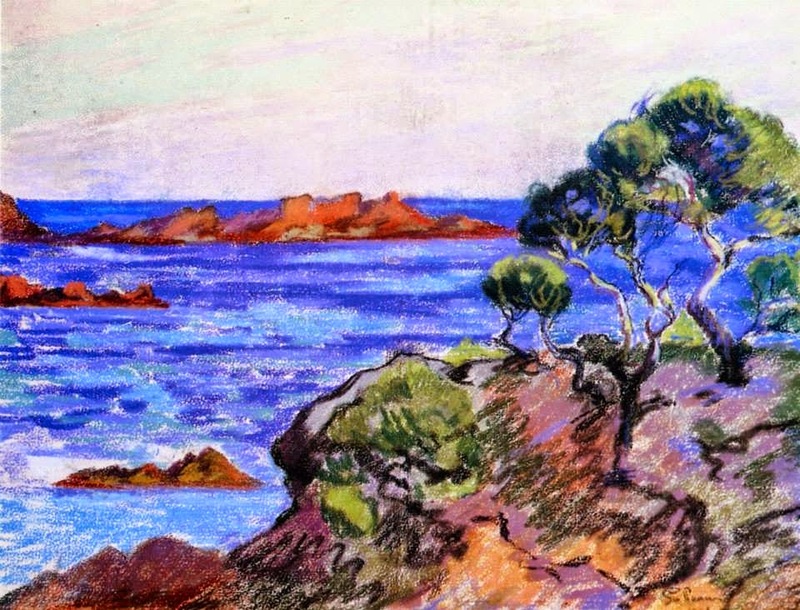 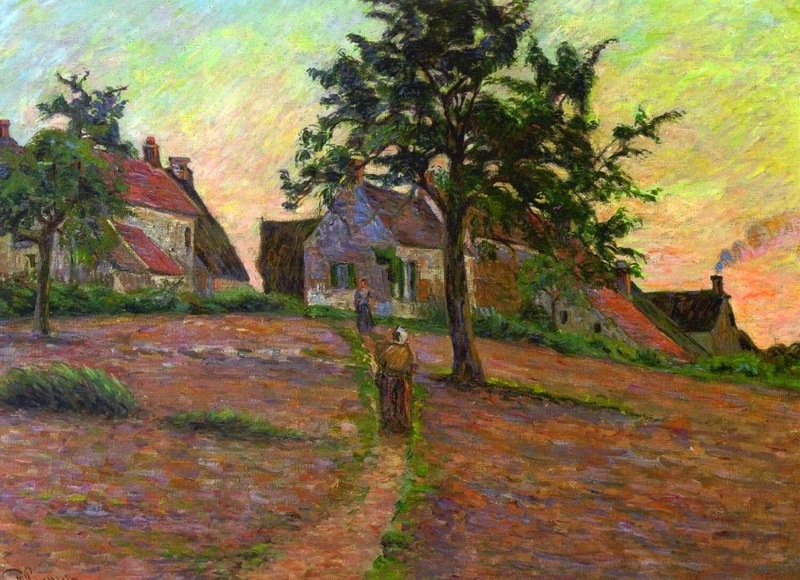 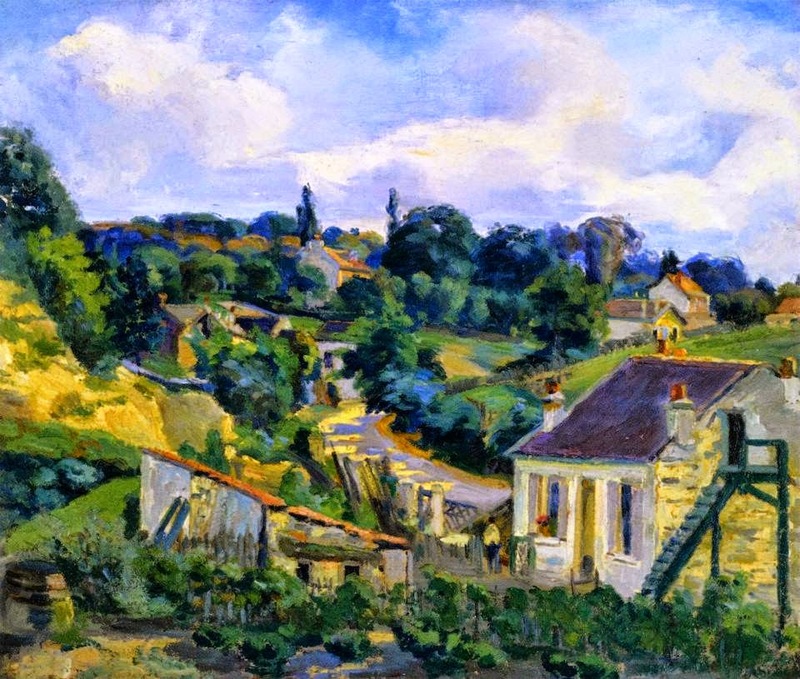 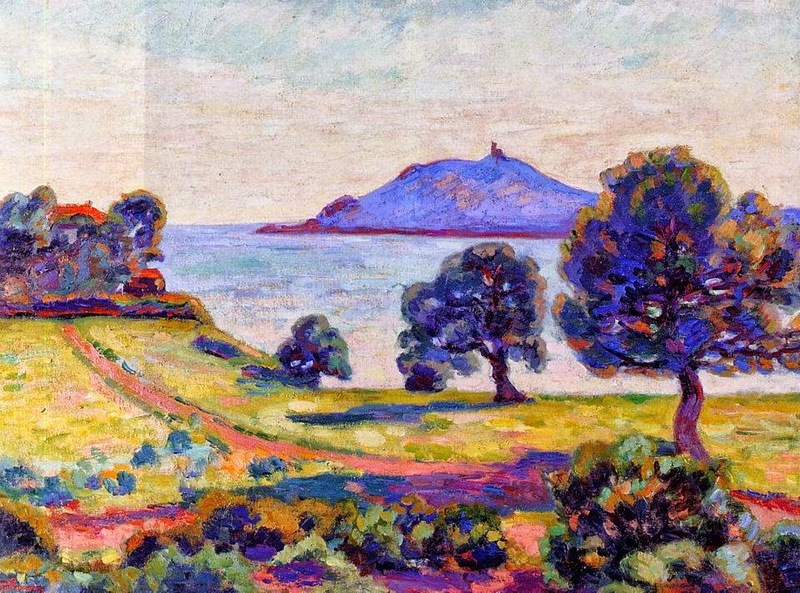 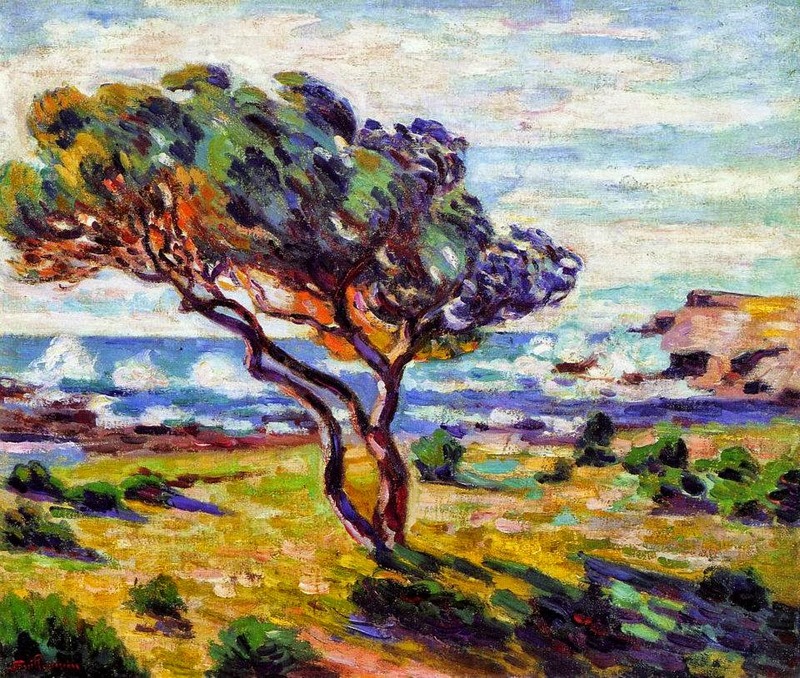 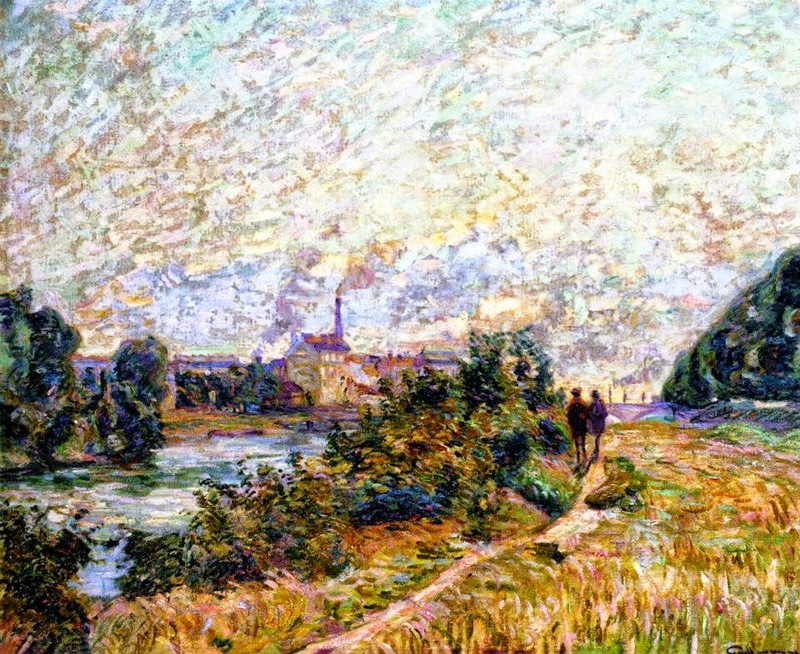 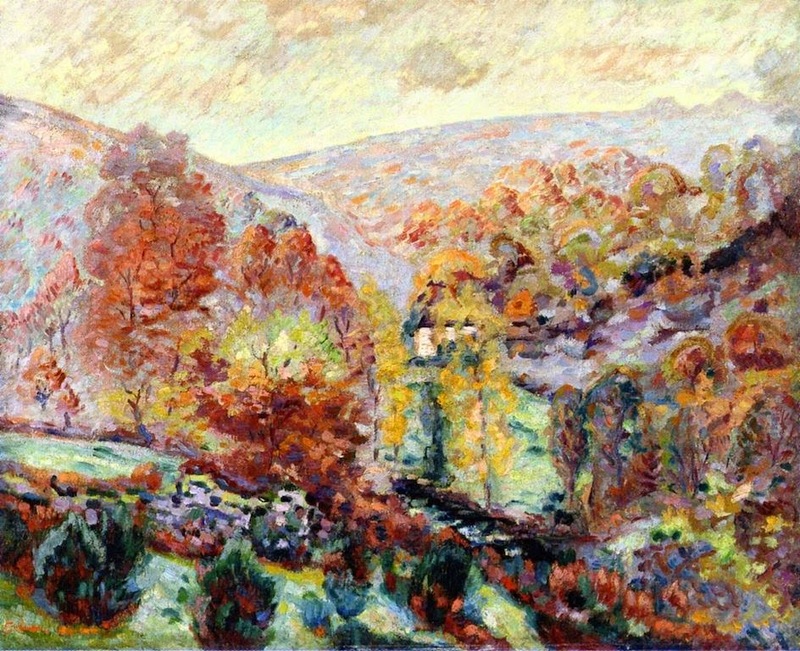 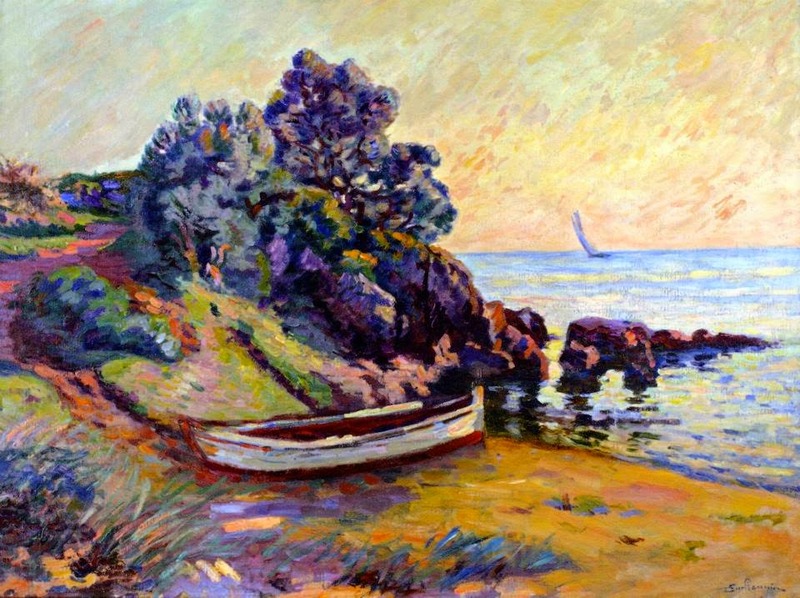 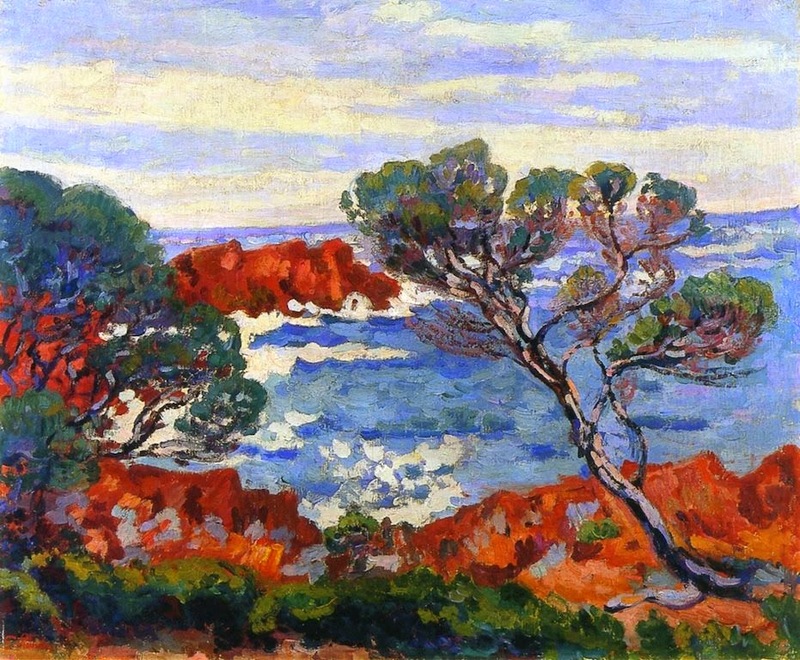 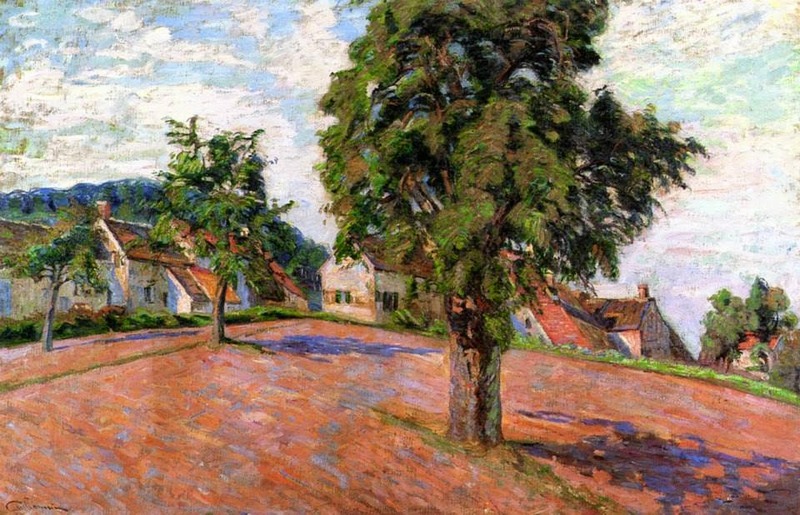 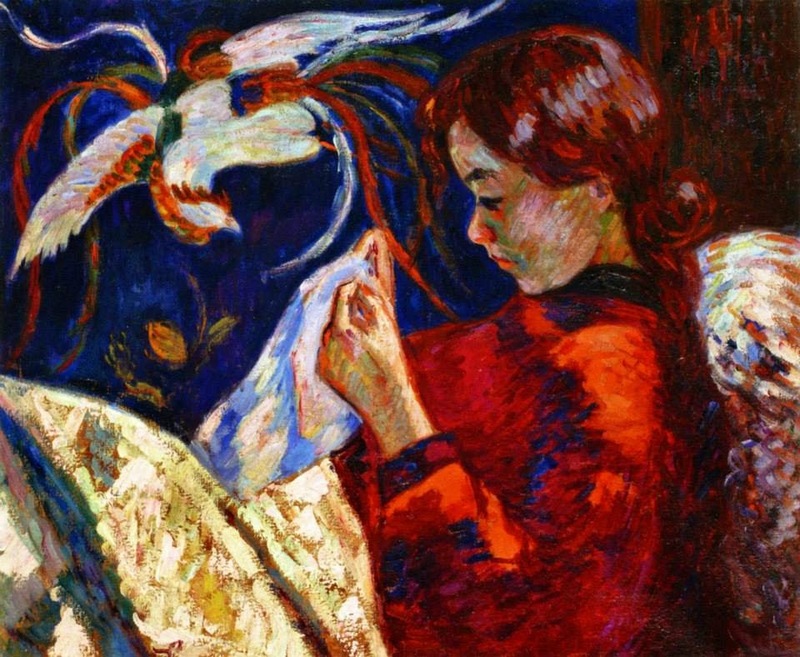 Guillaumin exhibited in the Salon des Refusés in 1863 and in the first Impressionist exhibit in 1874. 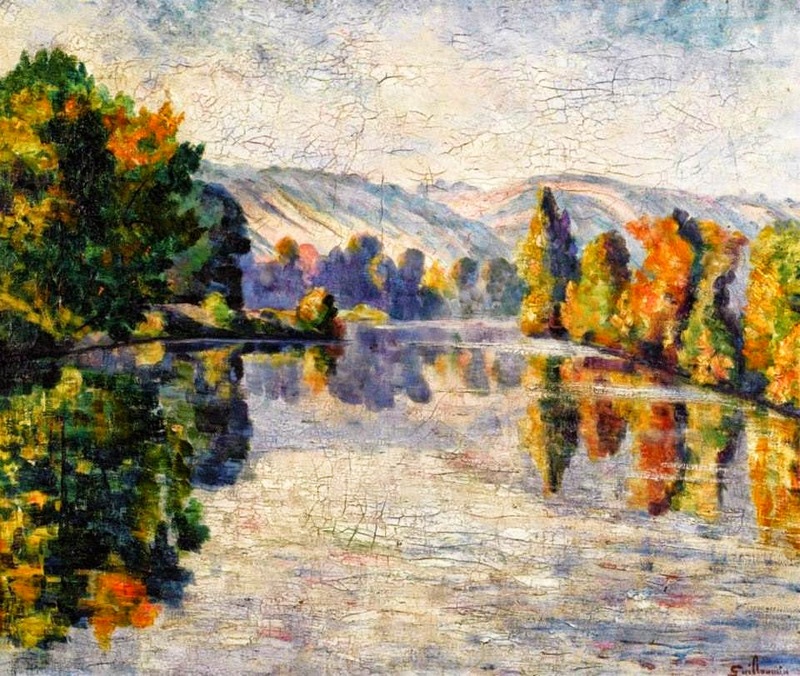 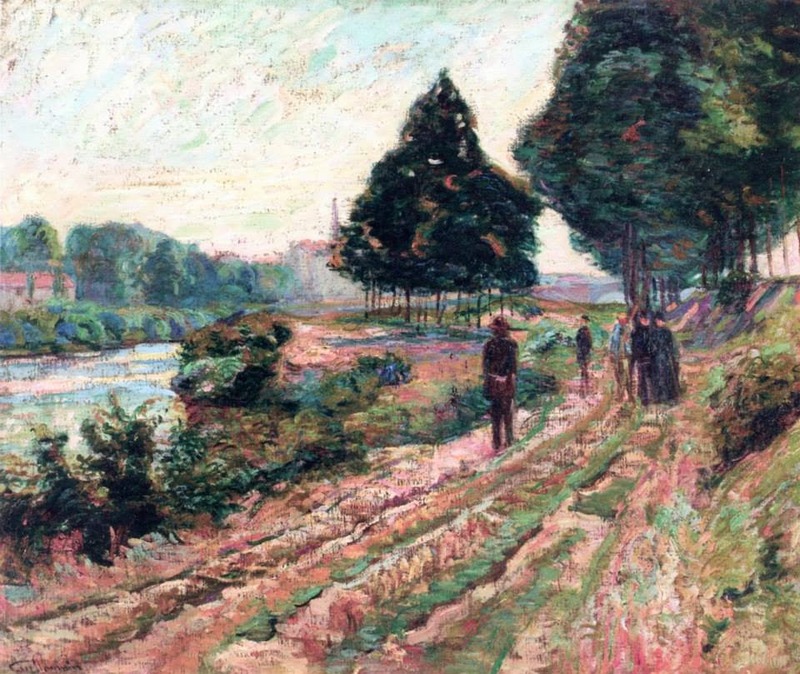 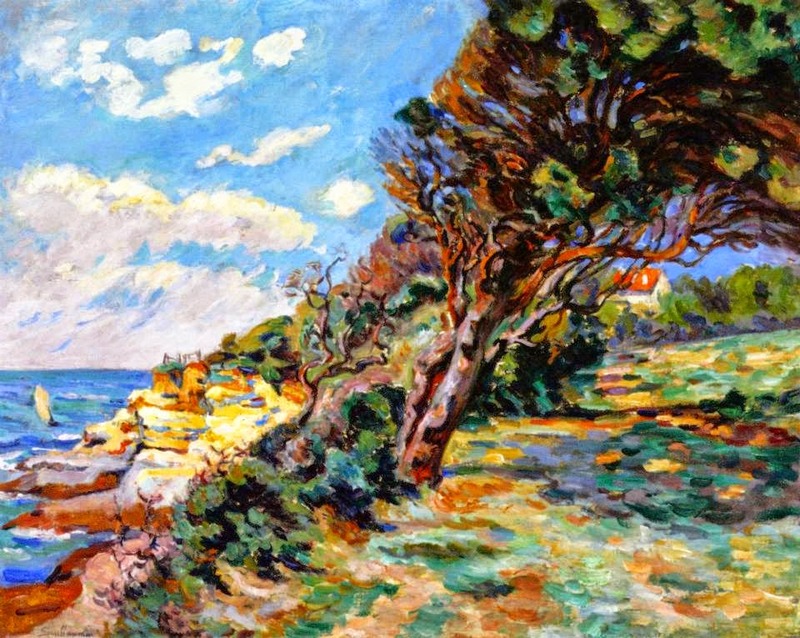 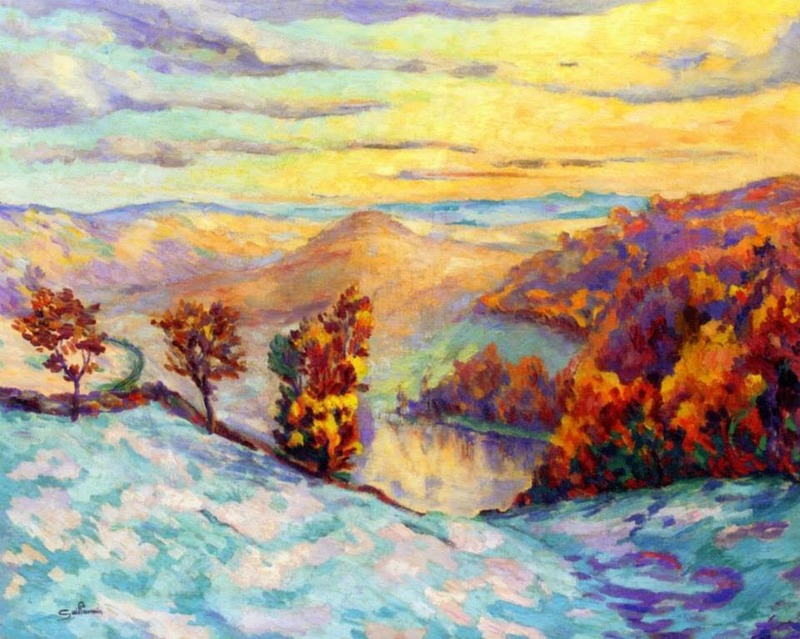 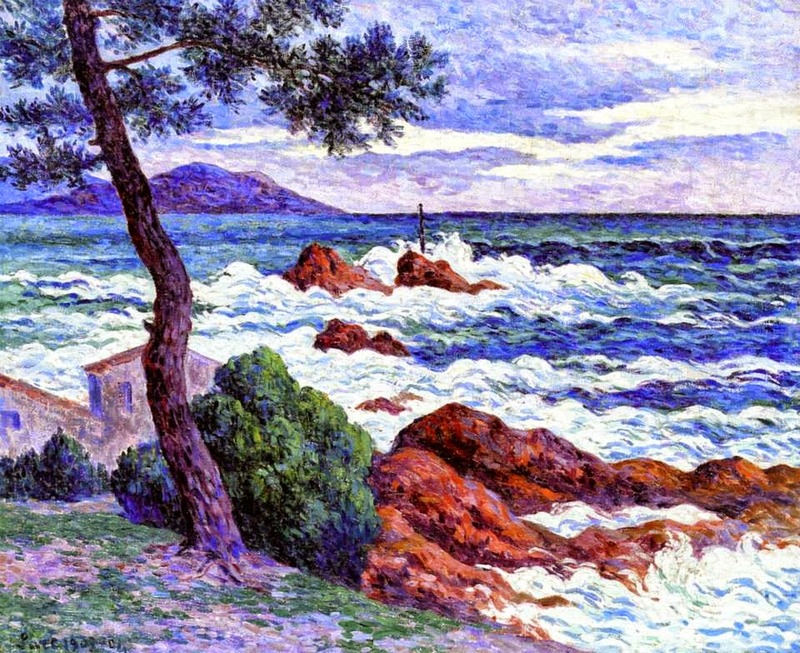 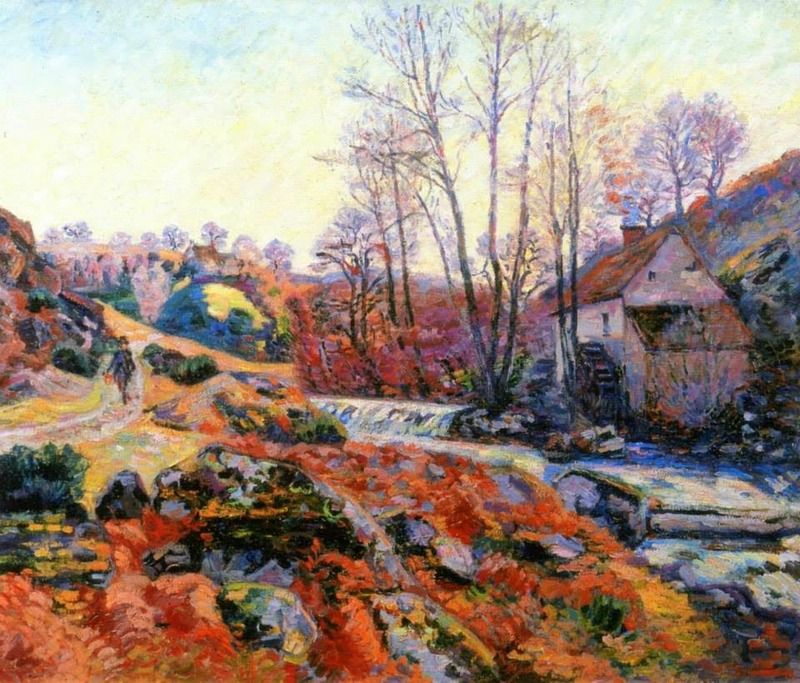 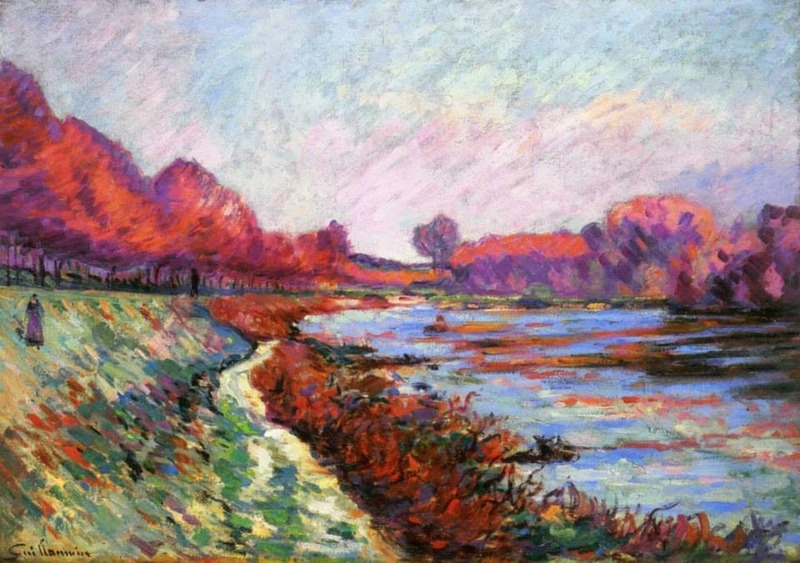 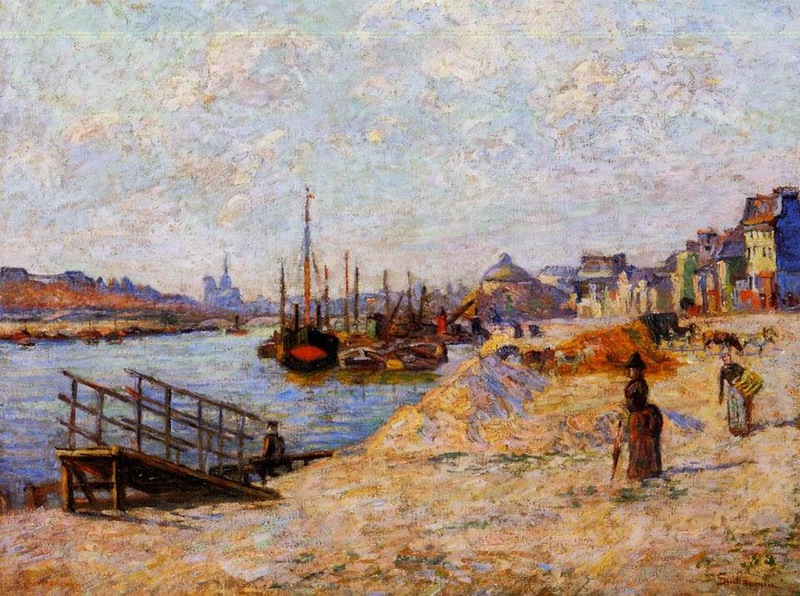 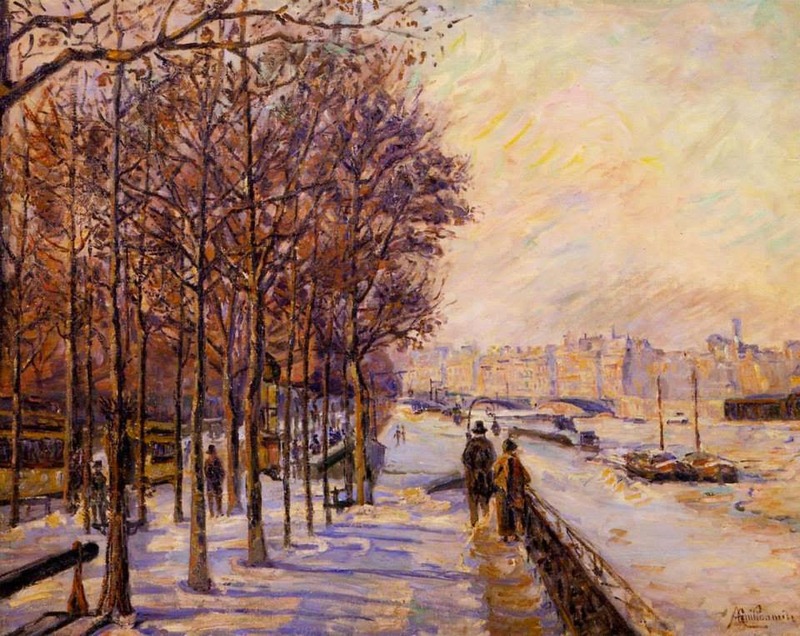 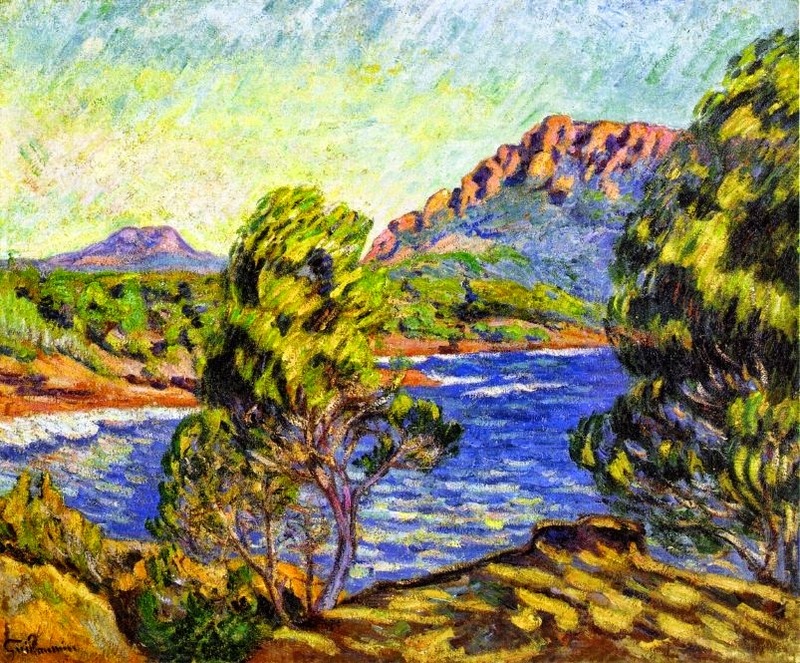 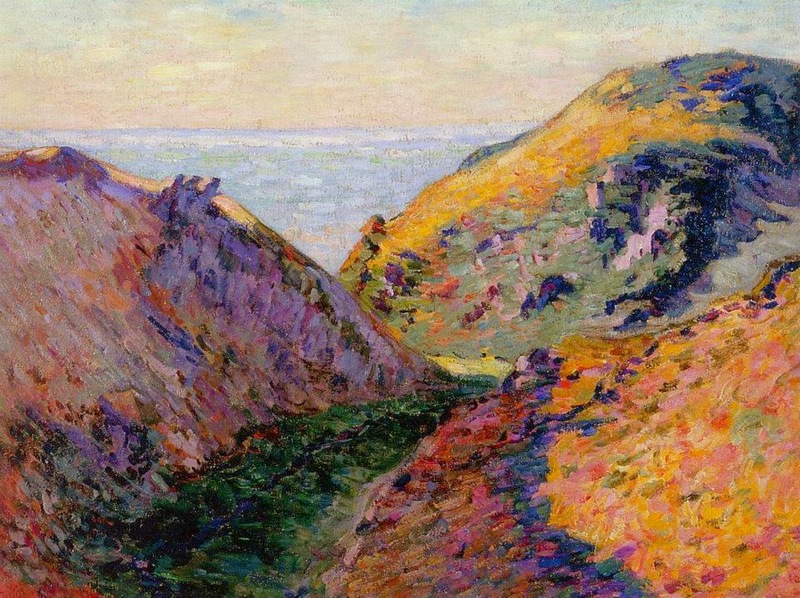 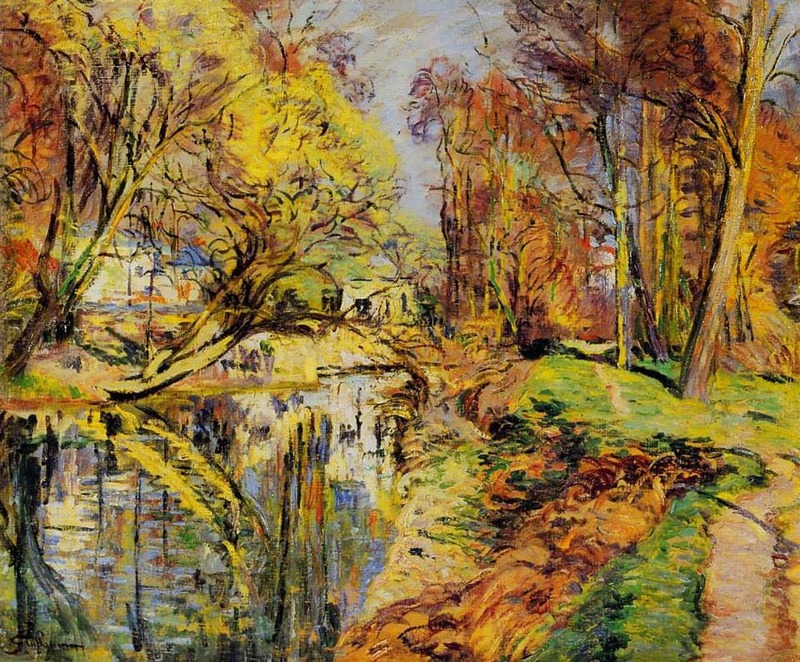 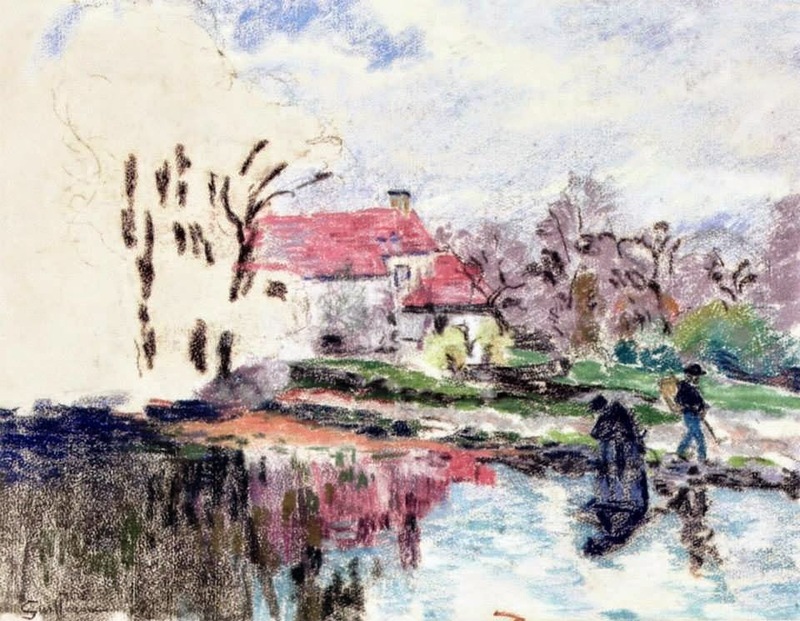 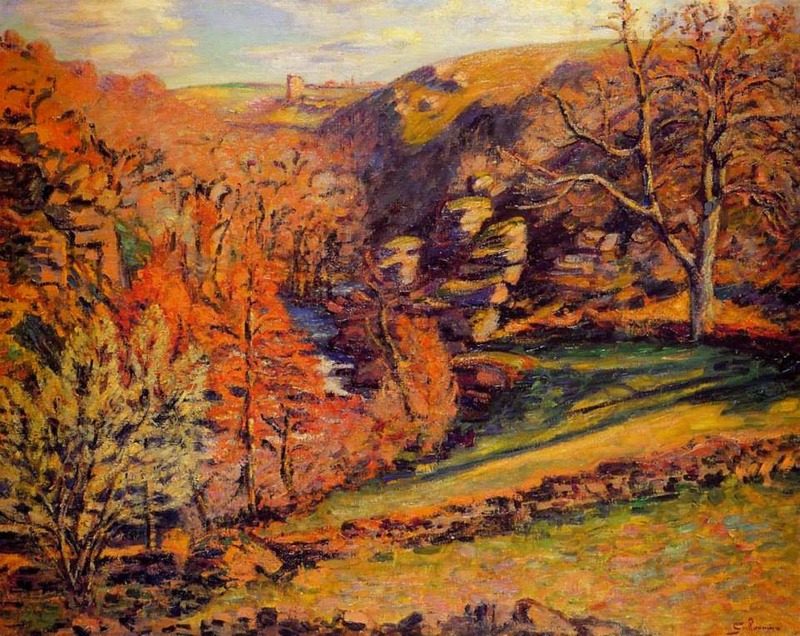 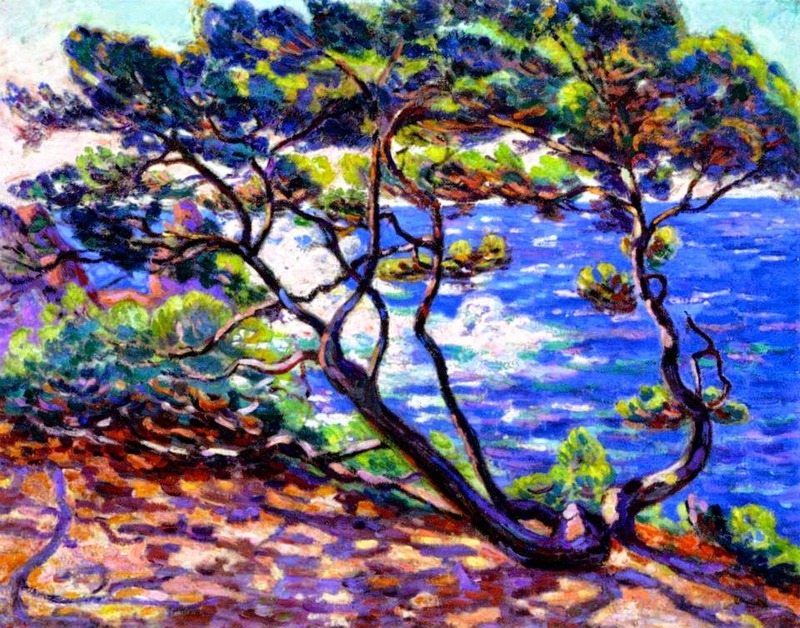 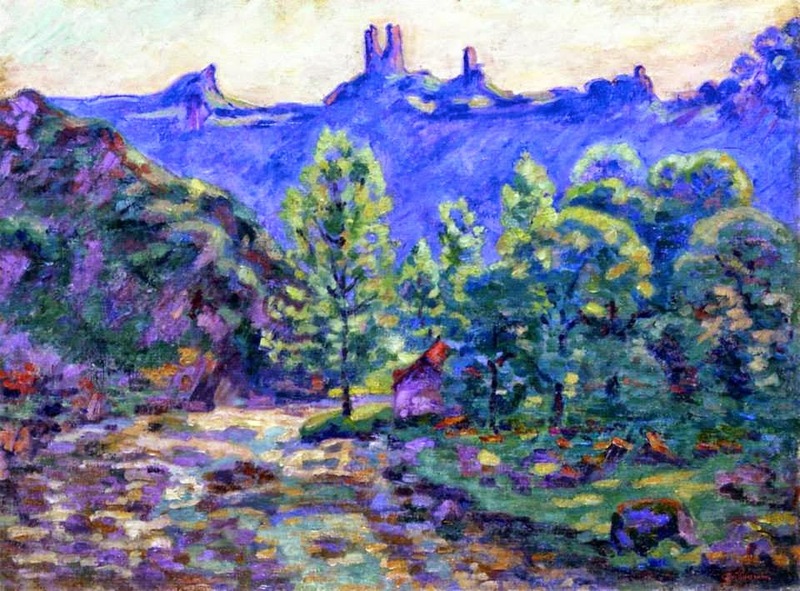 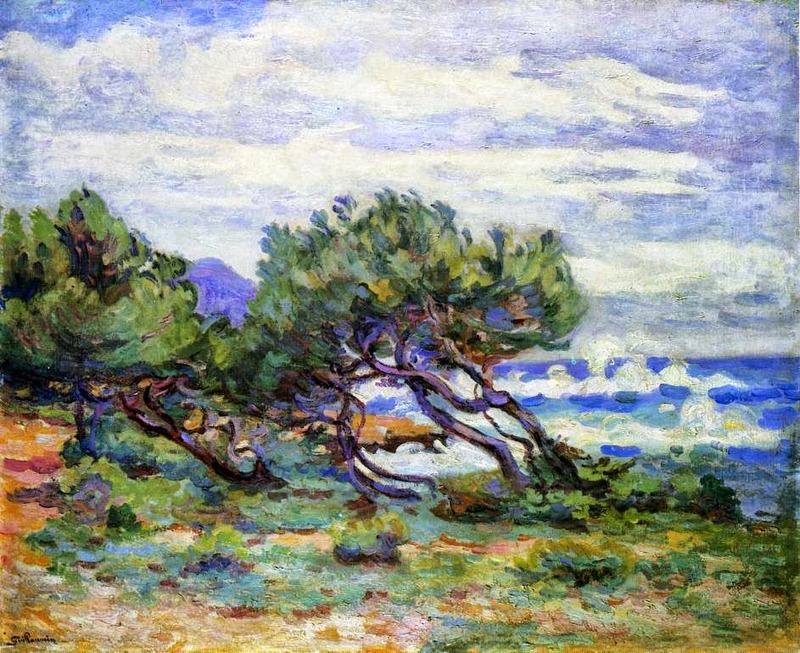 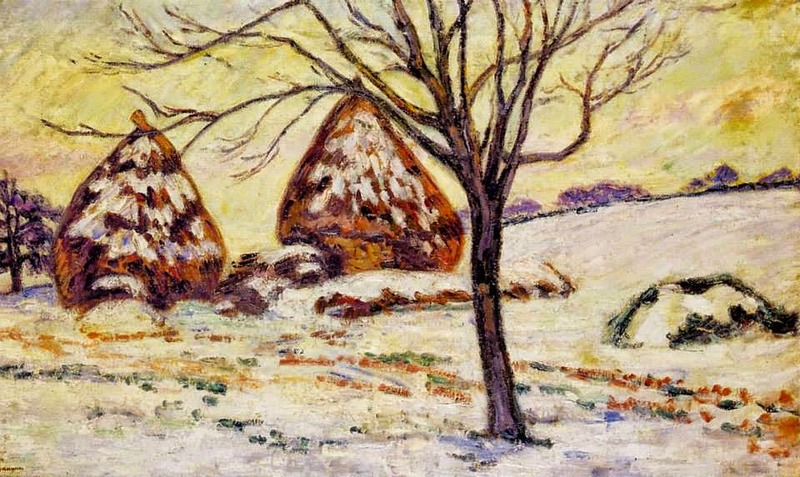 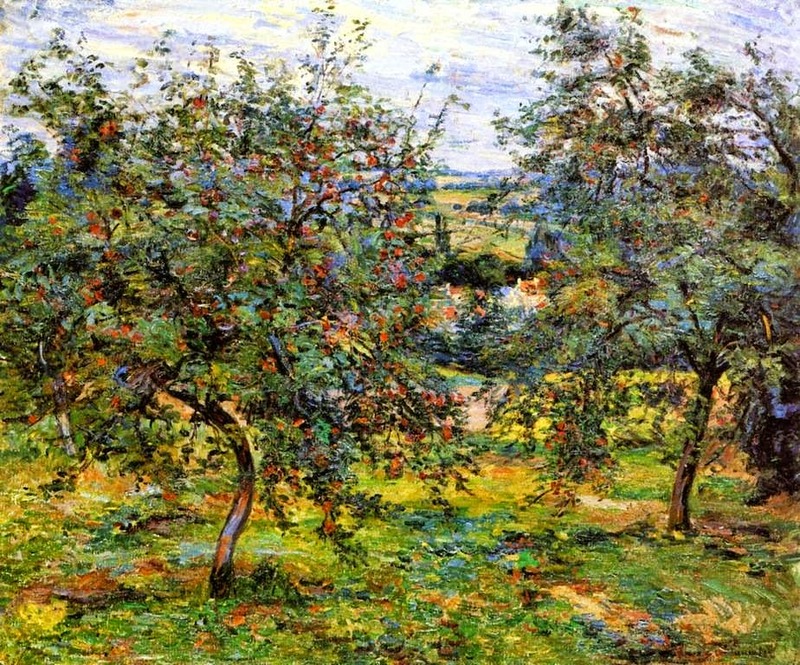 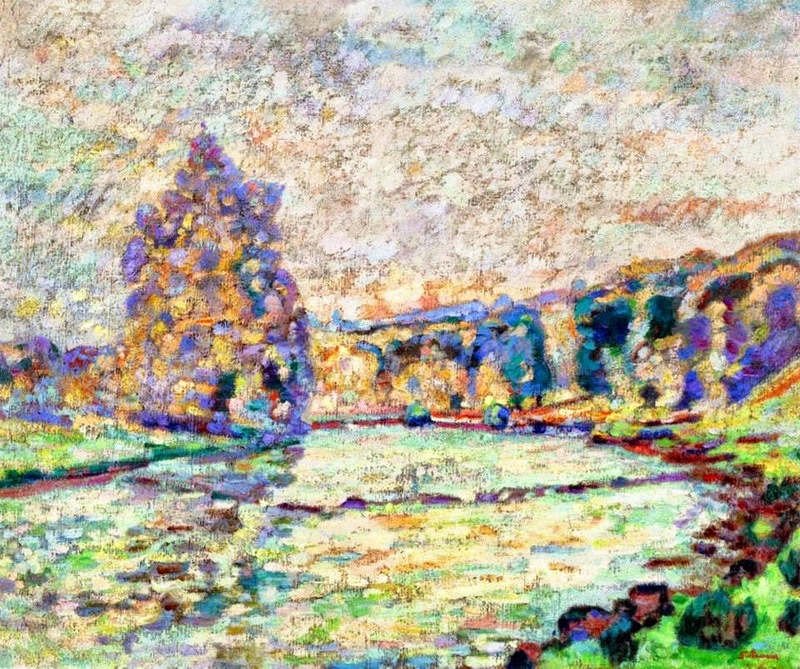 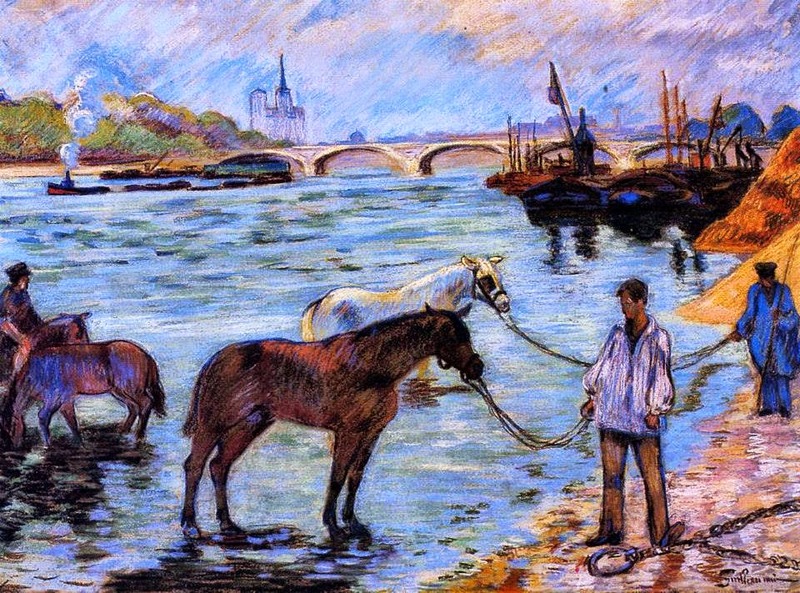 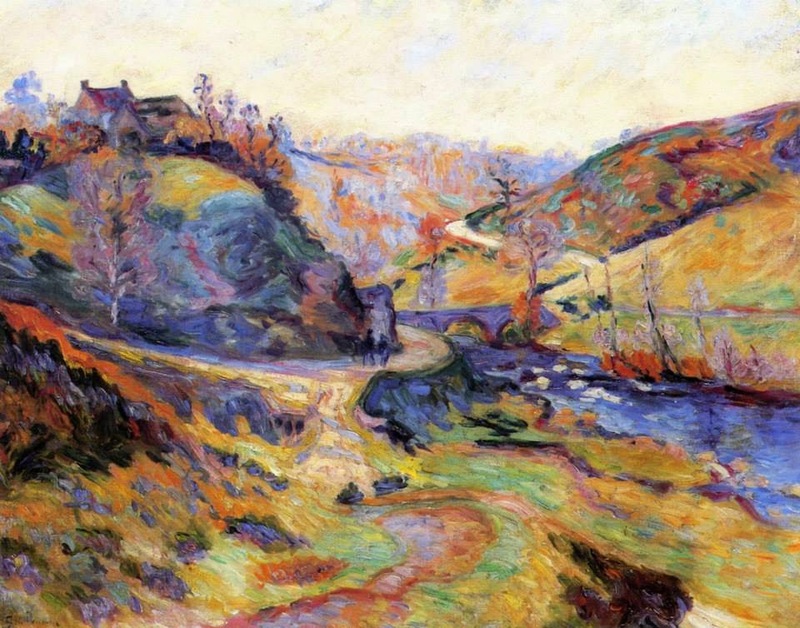 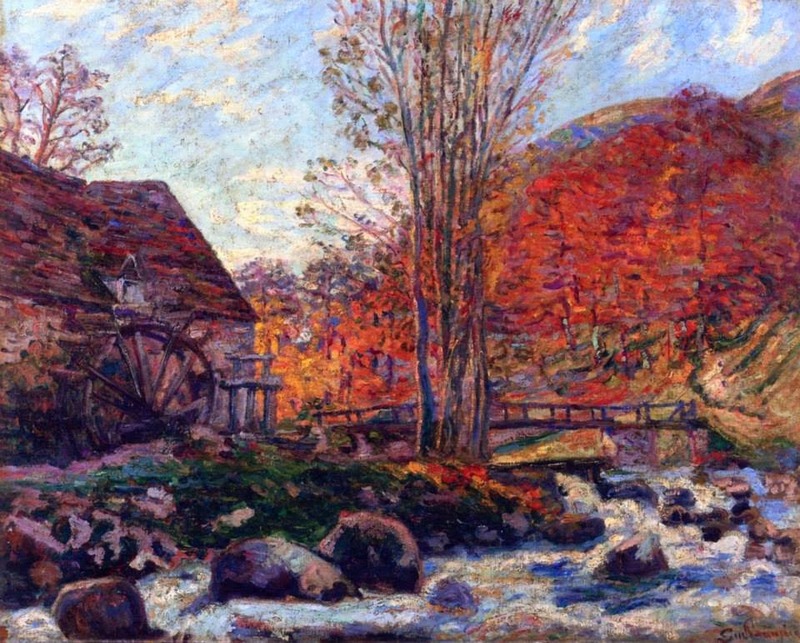 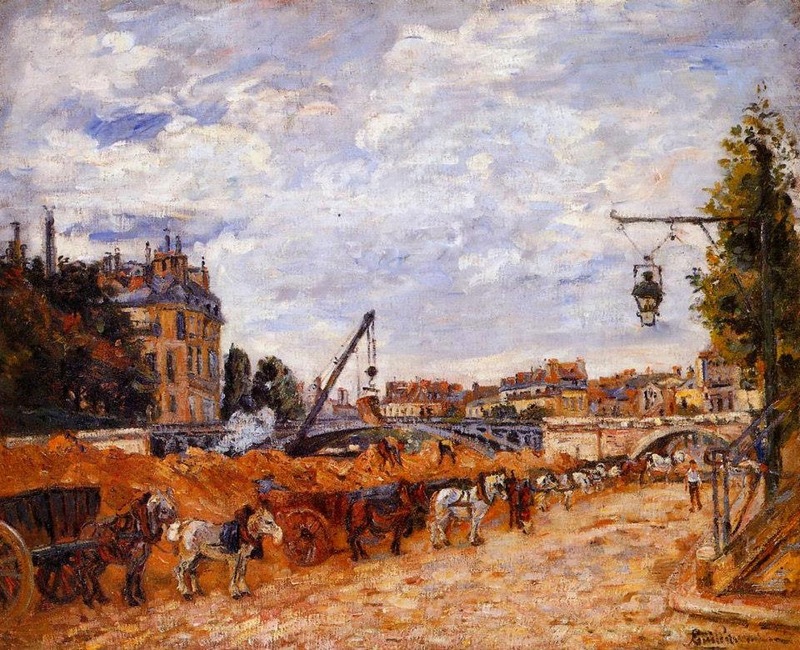 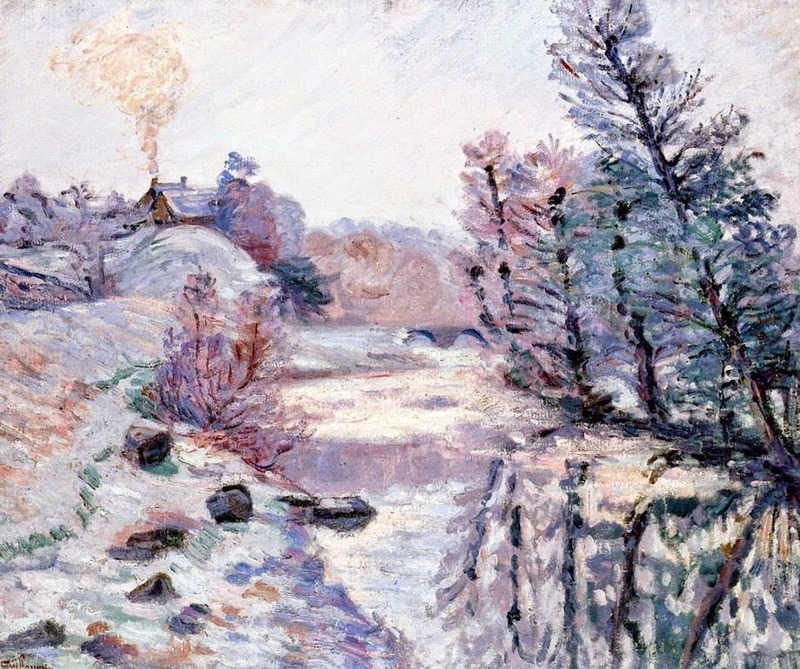 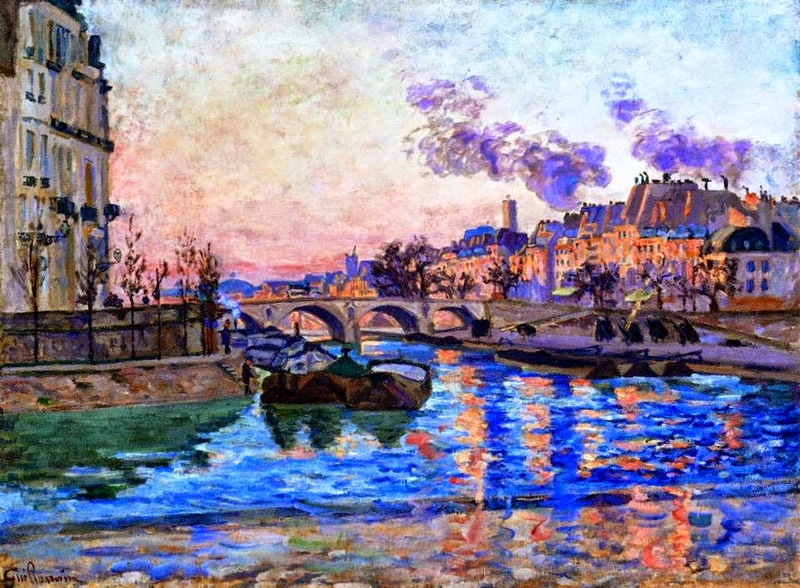 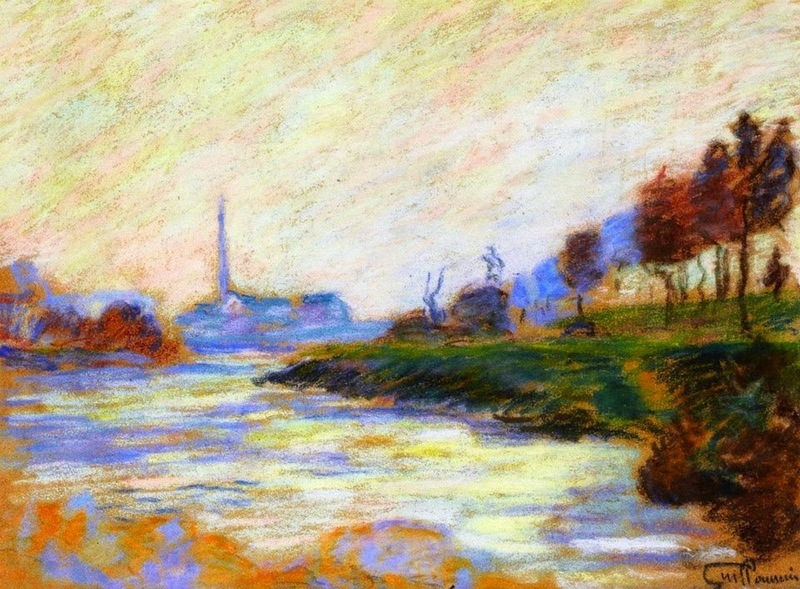 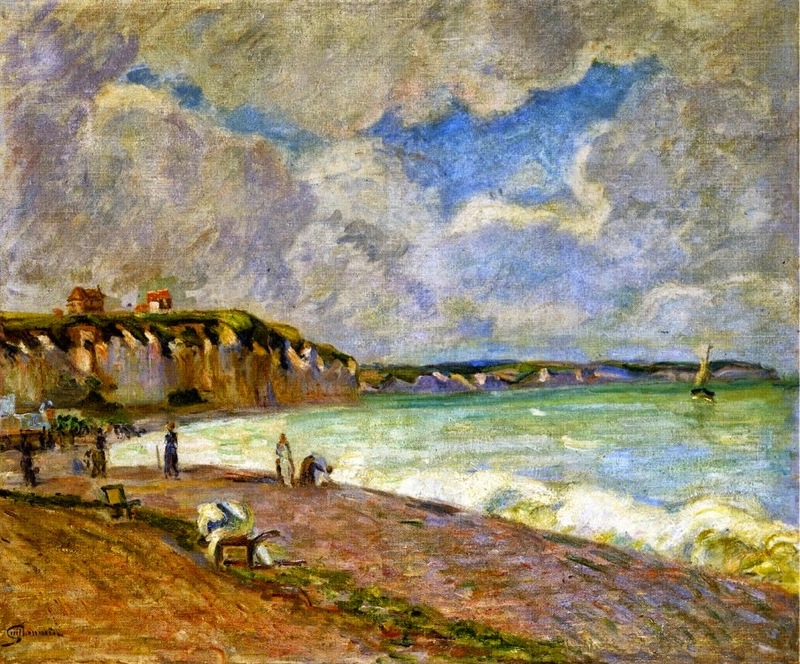 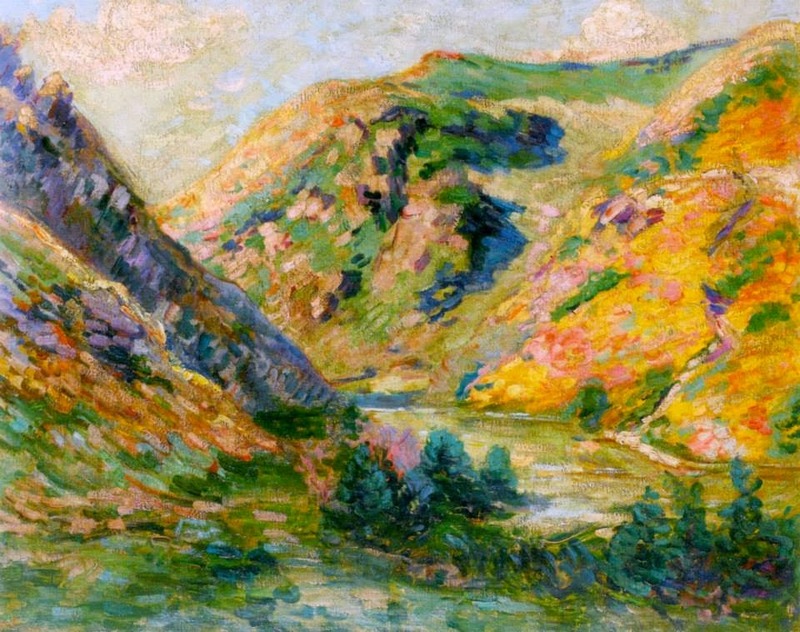 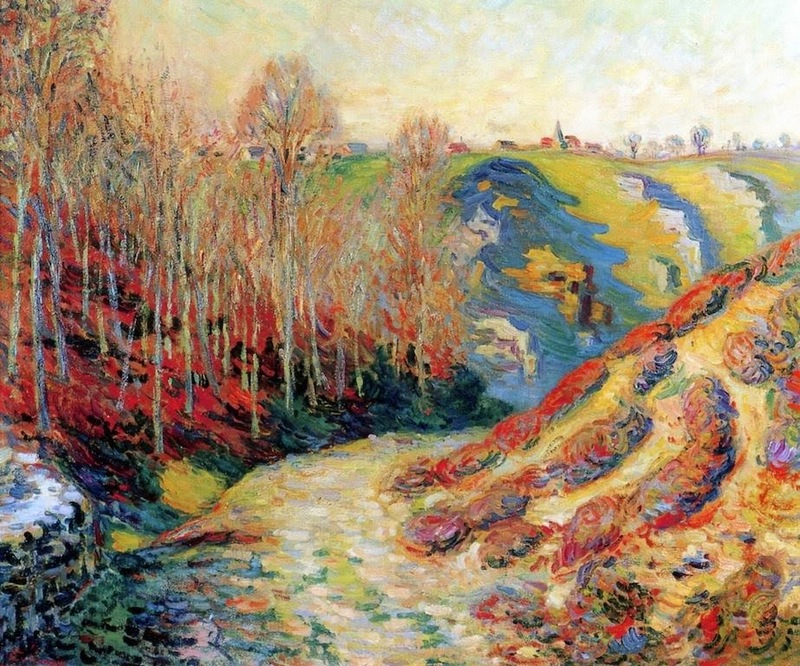 One of the more impoverished members of his artistic circle, Guillaumin was obliged in 1872 to take a post with the department of bridges and causeways. 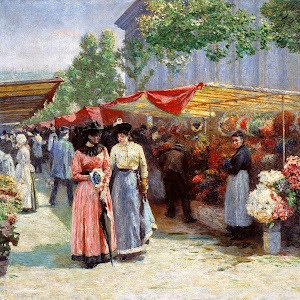 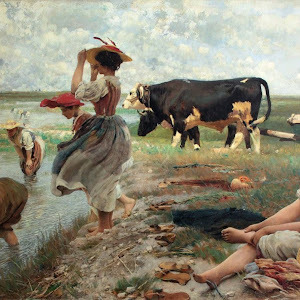 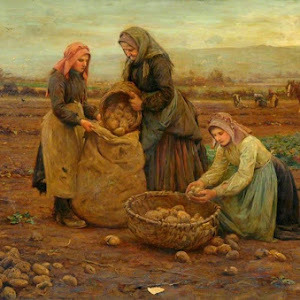 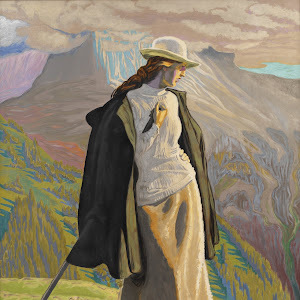 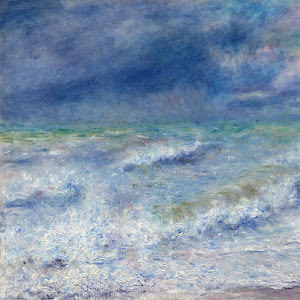 It was not until 1892, when he won 100,000 francs in a city lottery, that he was able to give up his government job and paint full-time. 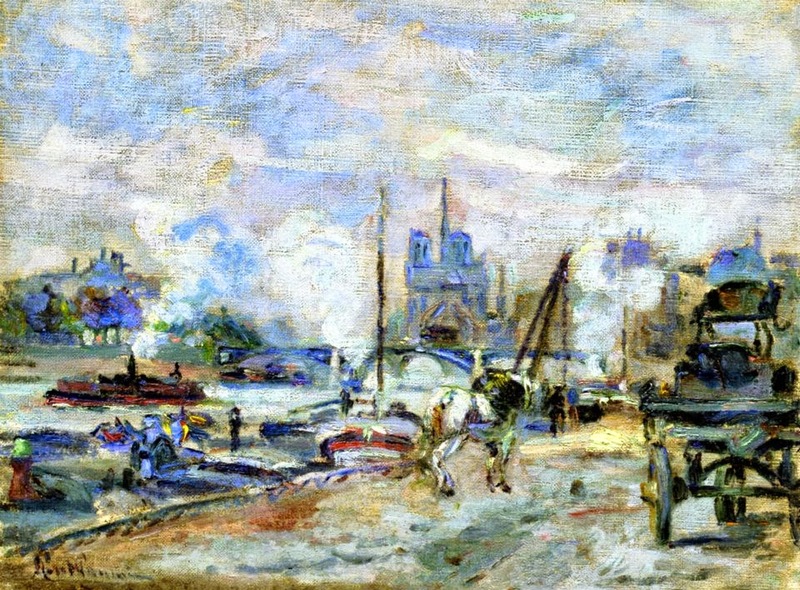 Guillaumin painted views of Montmartre, Meudon, and the Seine-e.g., The Bridge of Louis Philippe (1875) and The Port at Charenton (1878). 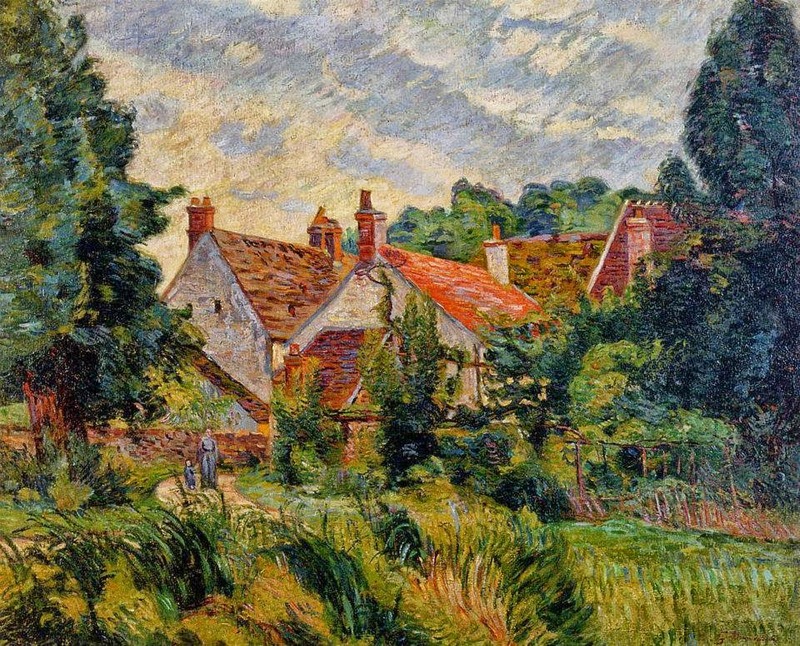 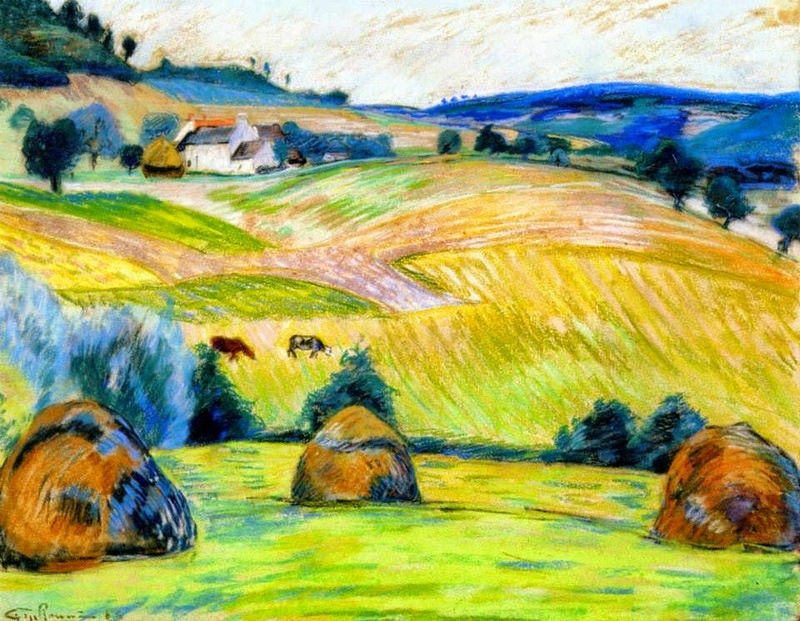 His passionate feeling toward nature both impressed and influenced Vincent van Gogh🎨; they became friends during van Gogh’s residence in Paris in 1887. 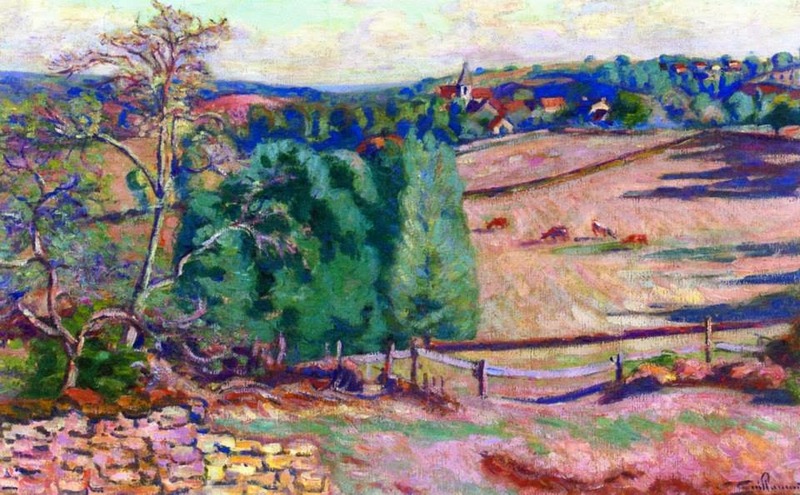 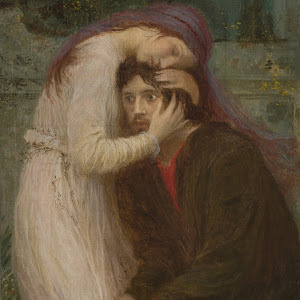 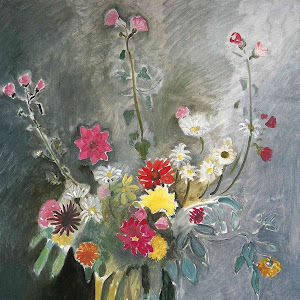 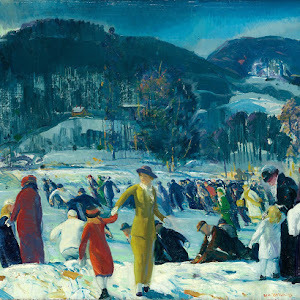 His execution is direct, bold, and sometimes vehement, and his colour is harmonious. 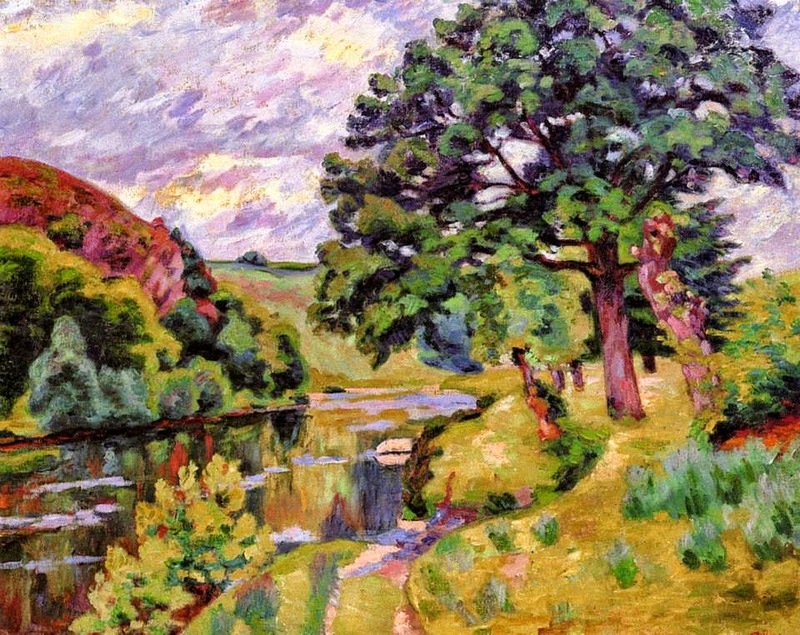 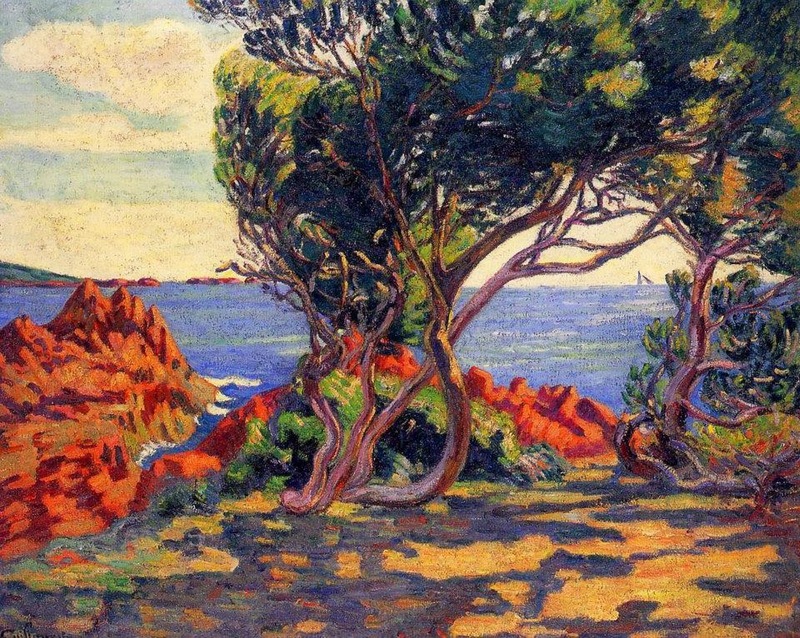 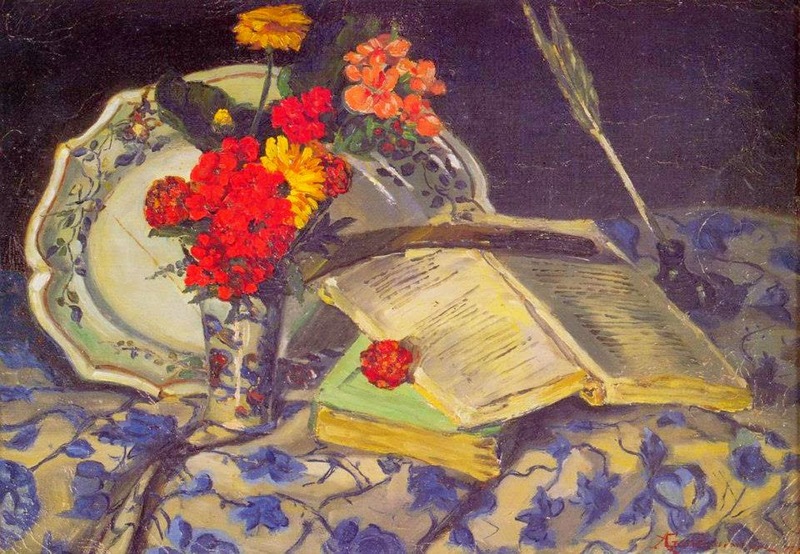 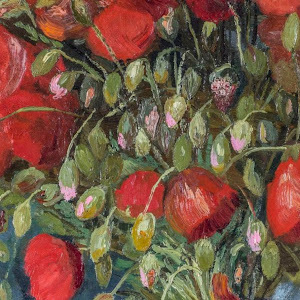 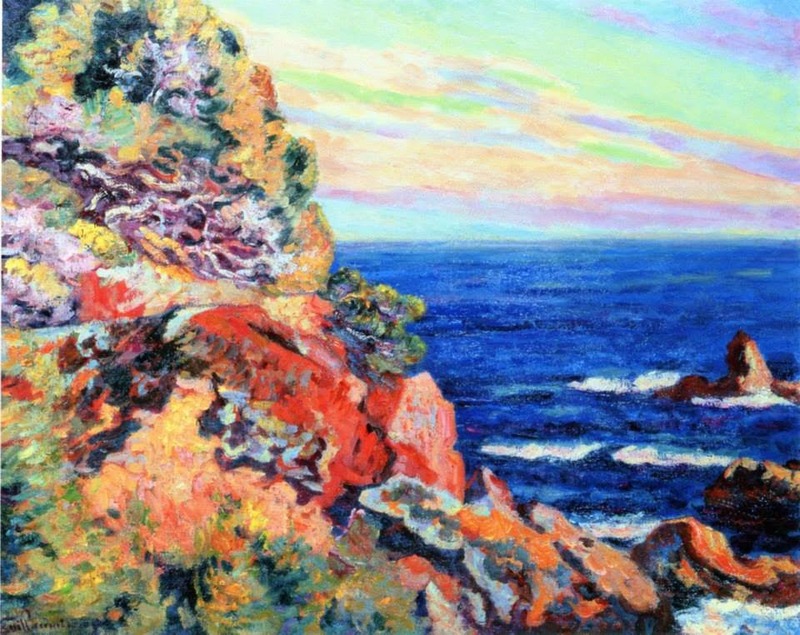 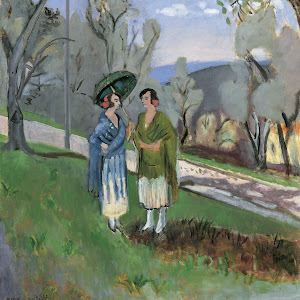 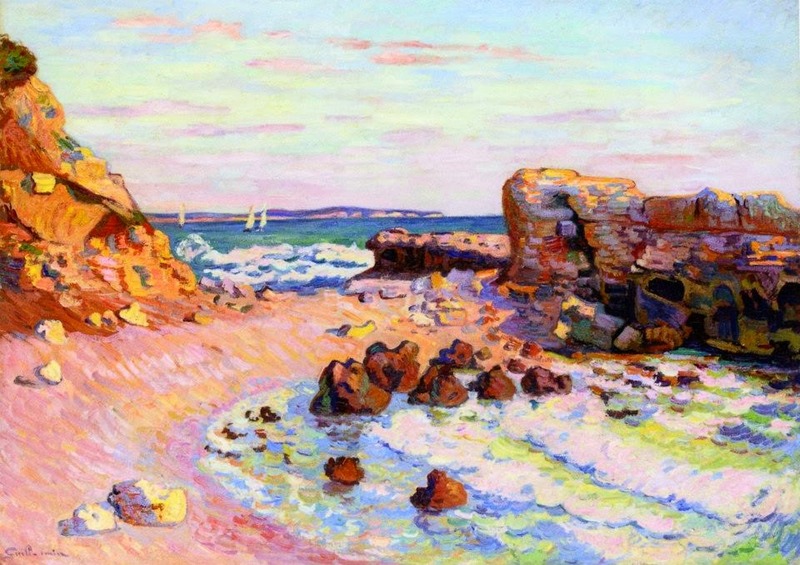 In his art Guillaumin chronicled Impressionist developments-from his early still lifes in the style of Édouard Manet🎨 to brilliantly coloured late works in the style of Claude Monet🎨. 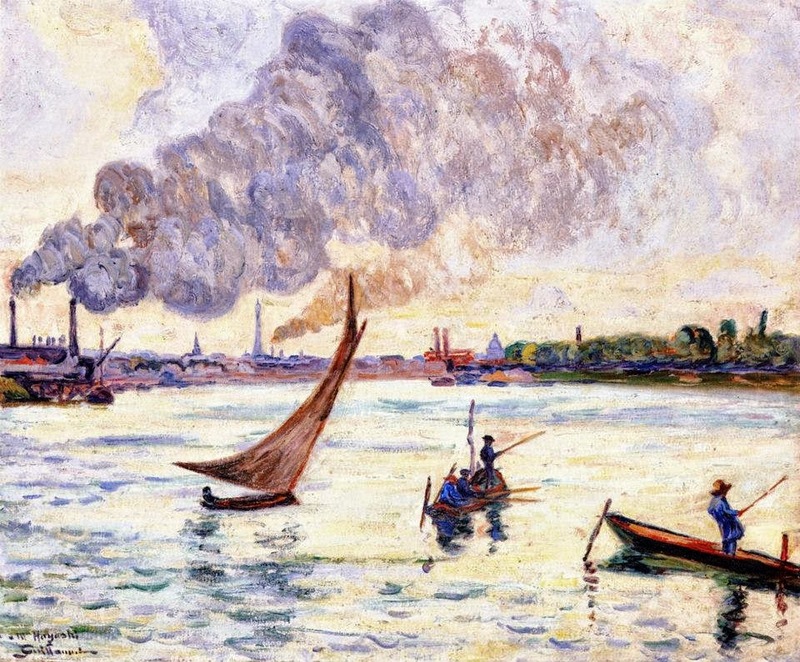 | © Encyclopædia Britannica, Inc.
Guillaumin ‹ġiiomẽ´›, Armand - Pittore Francese🎨 (Parigi 1841 - Orly 1927).